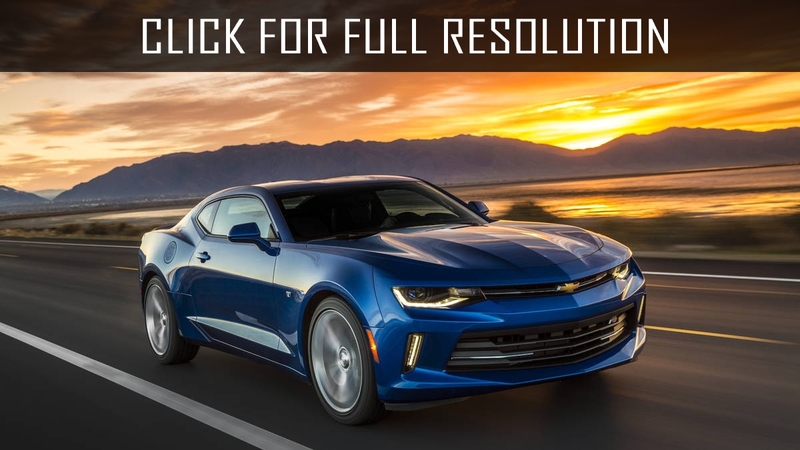 The first presentation of Chevrolet Camaro took place on September 26, 1966, for the purpose of creation competition over popular Ford Mustang market. 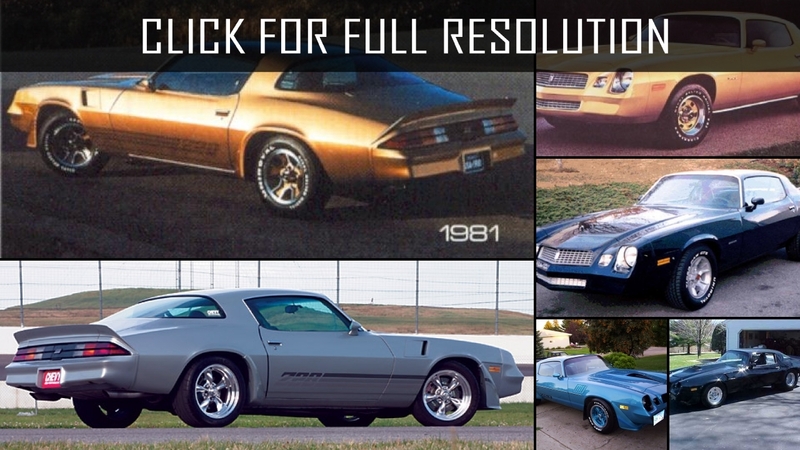 Chevrolet Camaro was designed as new car but, nevertheless, some components were taken from Chevellet Corvair and legendary Corvette. 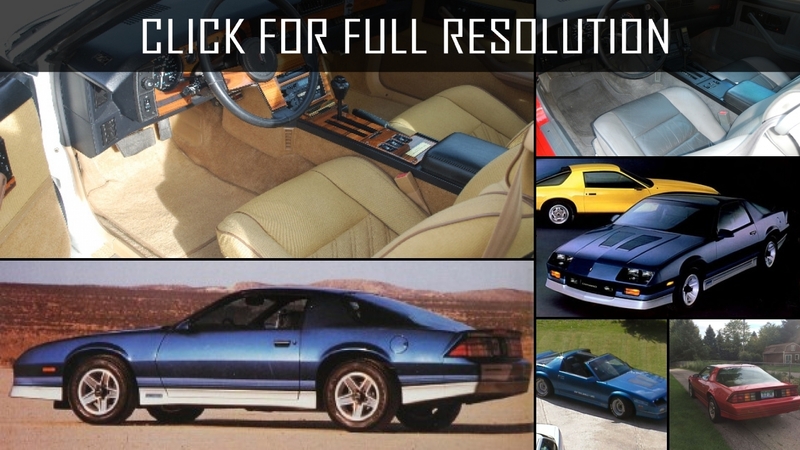 The integral body to which the powerful stretcher established on elastic elements in front fastened became a basis of a power design. 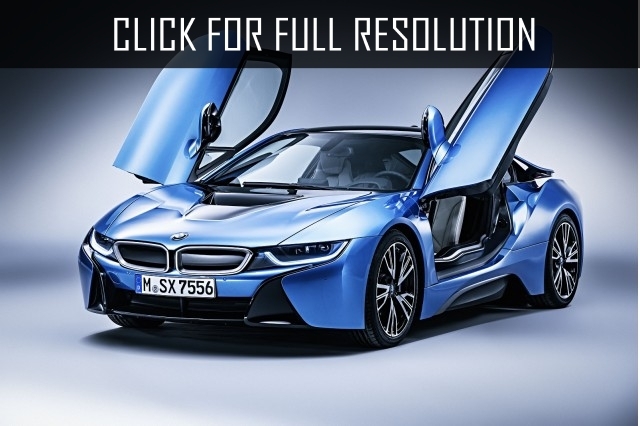 On the back it was placed engine and gearbox, as well as independent spring suspension. 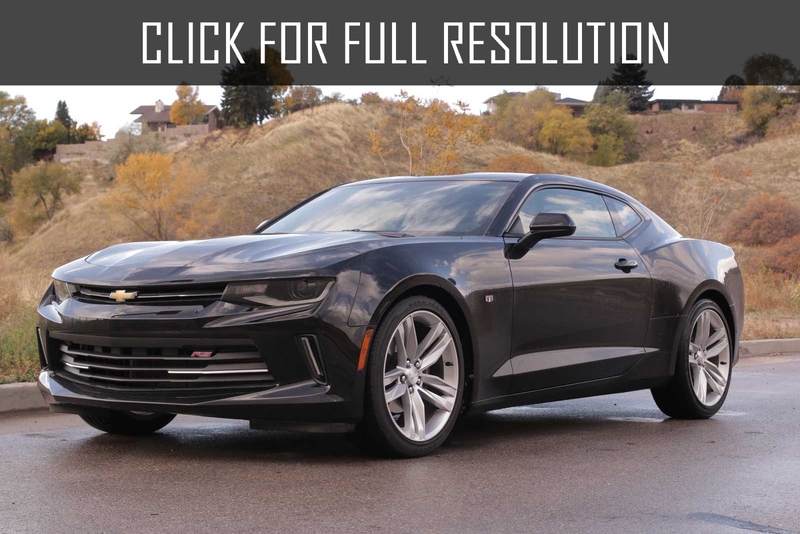 The line of engines which was completed Chevrolet Camaro is represented V-shaped six or eight cylinder motor volume from 3,6 to 7,0 liters. 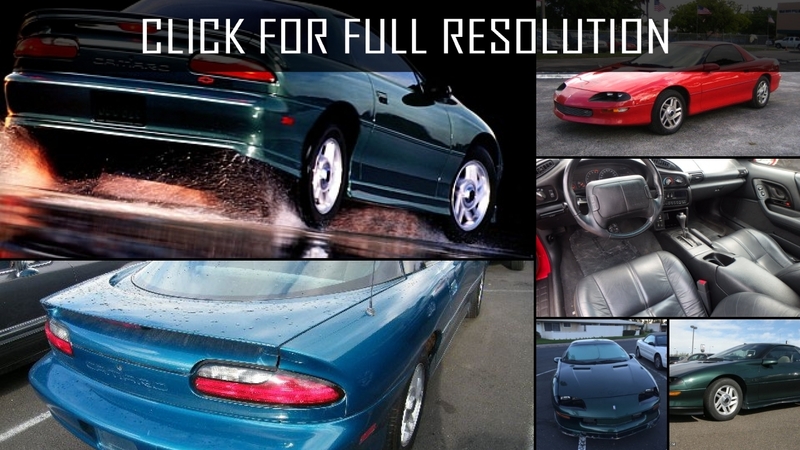 V6 had only two versions: the first - 3,6 l. power of 140 h.p., the second - 3,9 l. rated at 155 h.p. 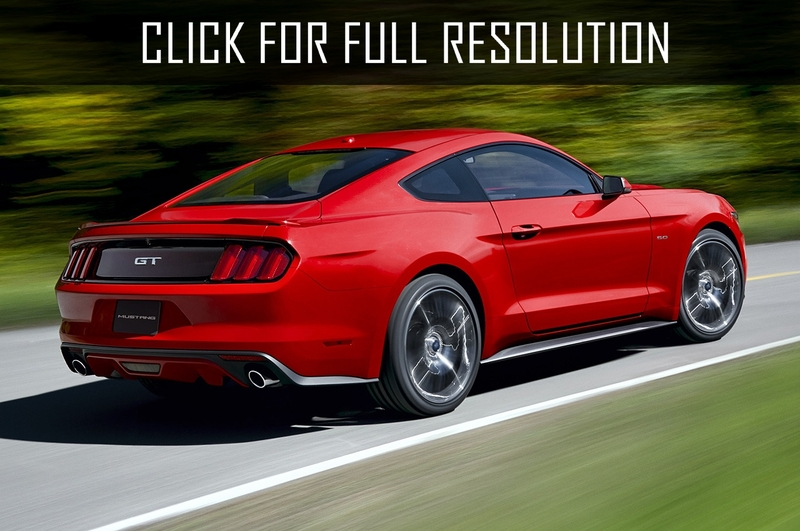 Also, V8 scale impresses: 5,1-liter, 210 h.p. 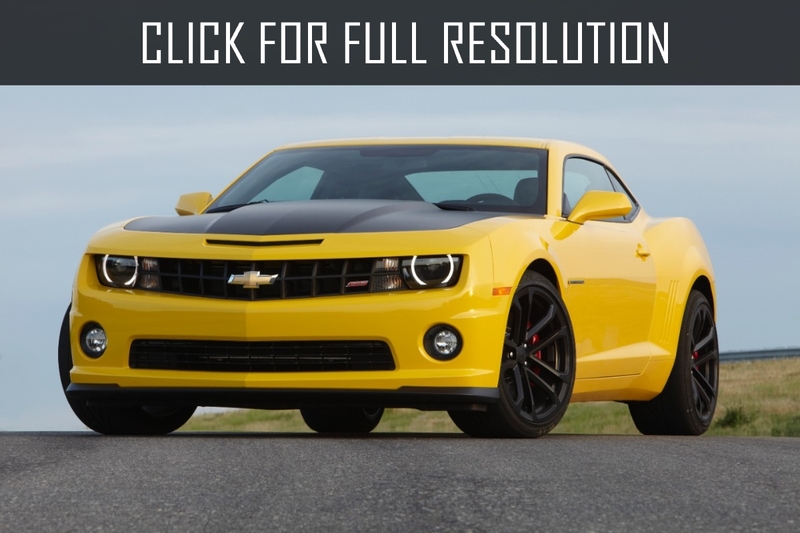 version together with 5,1-liter equipped with 4-chamber carburetor motor whose power was 275 h.p. 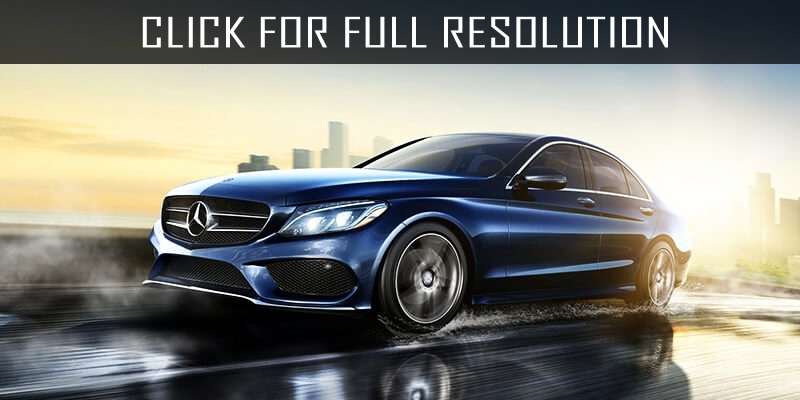 The next power options were 5,5-liter - 295 h.p. 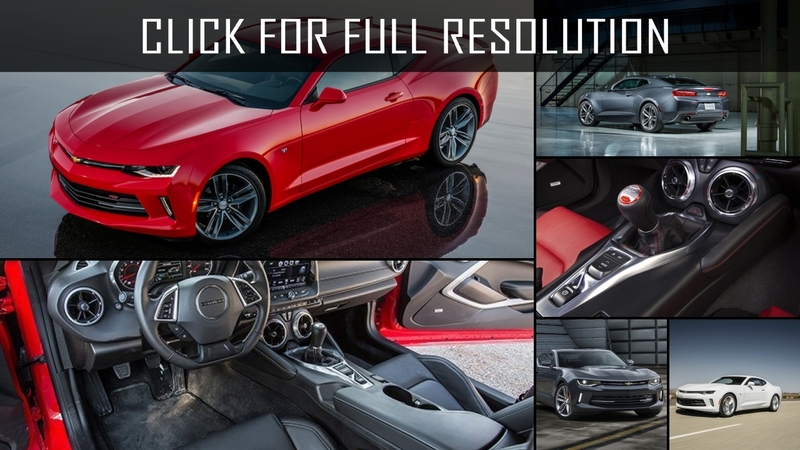 and 6,2-liter rated at 325 and 375 h.p. 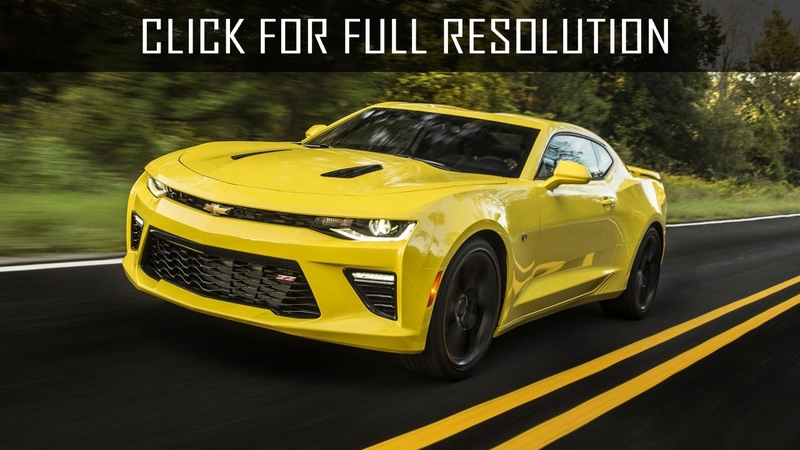 and these engines were used for Chevrolet Camaro Super Sport 396 series. 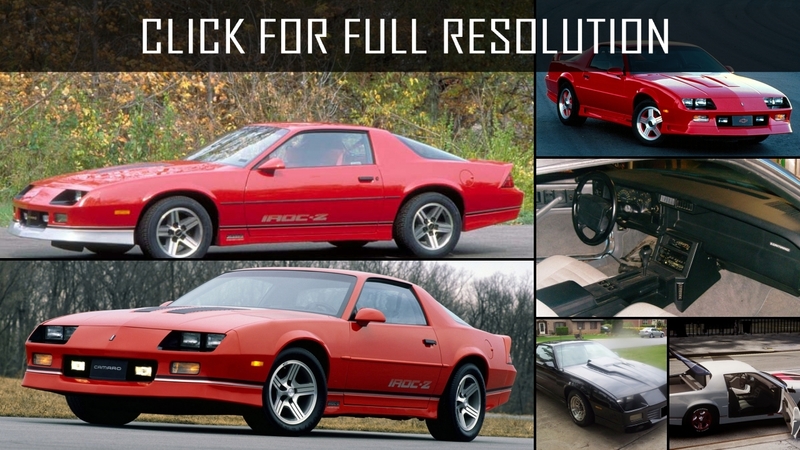 The last one was 8-cylinder 7-liter, 425-h.p. 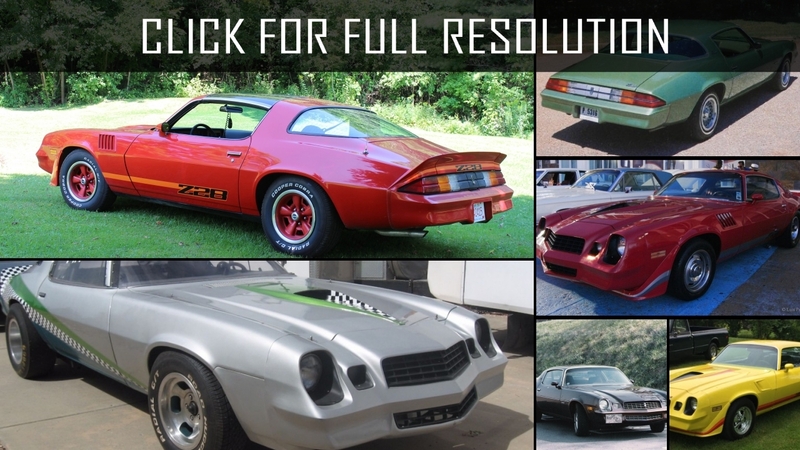 monster who was installed by request only on the top versions of Chevrolet Camaro Z-28 in modification of Super Sport 1972 and or Rally Sport - these versions also included more effective braking system, audio system, steering booster and even air conditioner. 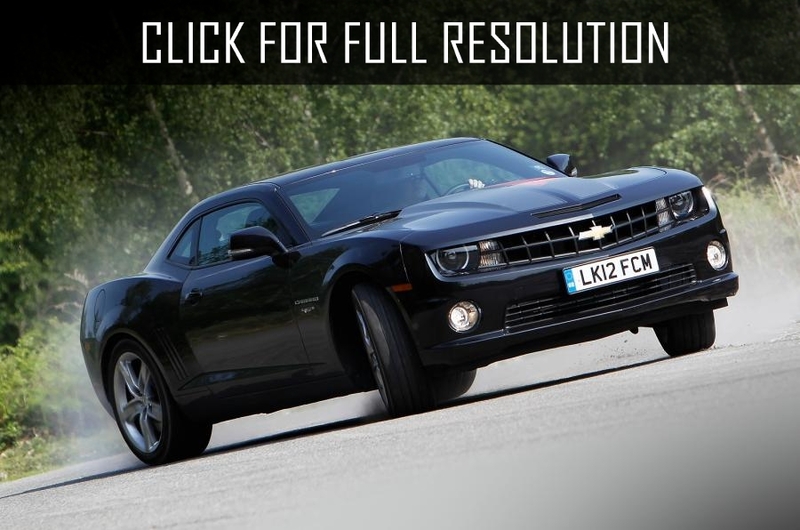 All above mentioned kinds of engines were completed with 3 or 4-speed manual transmission or 2-speed automatic gearbox. 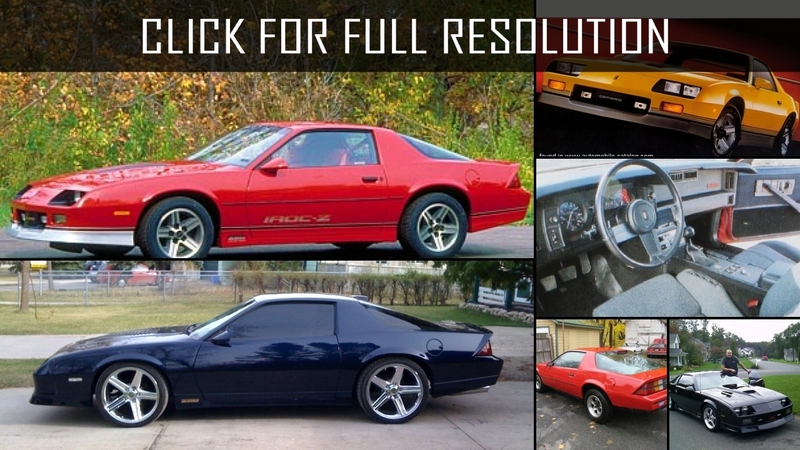 It would be desirable to characterize distinctions of two versions of Chevrolet Camaro Rally Sport (RS) and Super Sport (SS): in option of "RS" on a body of the car various decorative elements, like moldings, coloring in the form of two in parallel strips along a car, flashlights under bumpers were placed, headlights were closed by special movable sun blind. 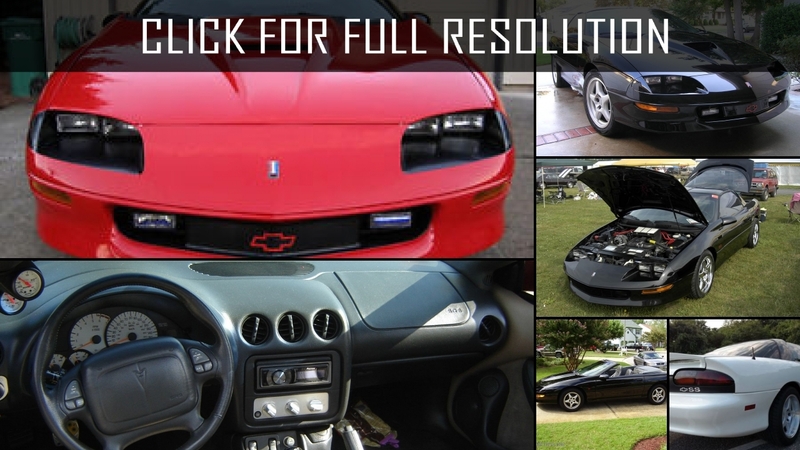 SS version vise versa possessed open headlights, other inner trim, and also additional light fires in a front part. 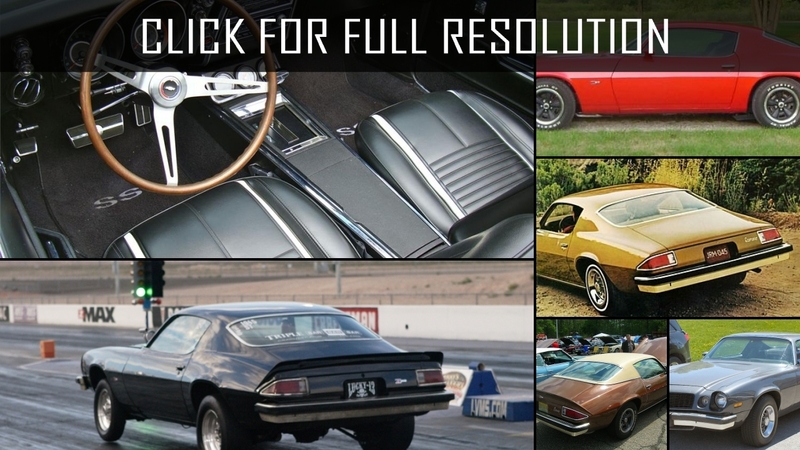 In 1968, Chevrolet Camaro with designation Z-28 was released which differs from predecessors in existence on a body of the spoilers designed to improve aerodynamic properties of the car, modernized meter panel with a tachometer, and tinted glasses. 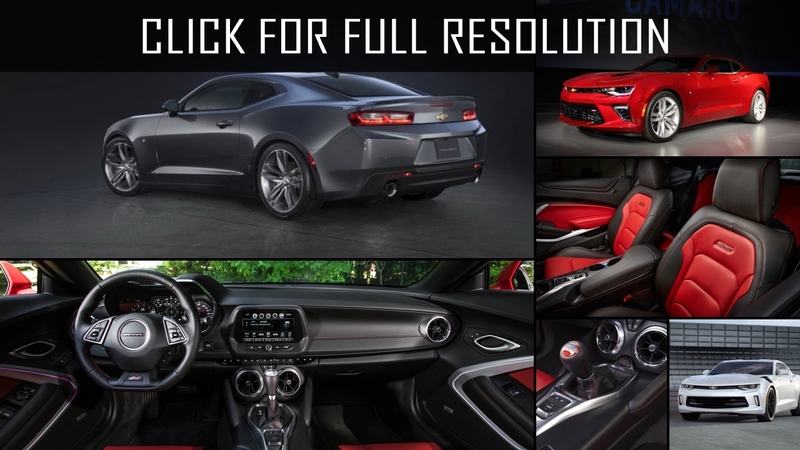 All Chevrolet Camaro with sports design body, fine dynamic indicators and of course, powerful, aggressive engine made the model very popular. 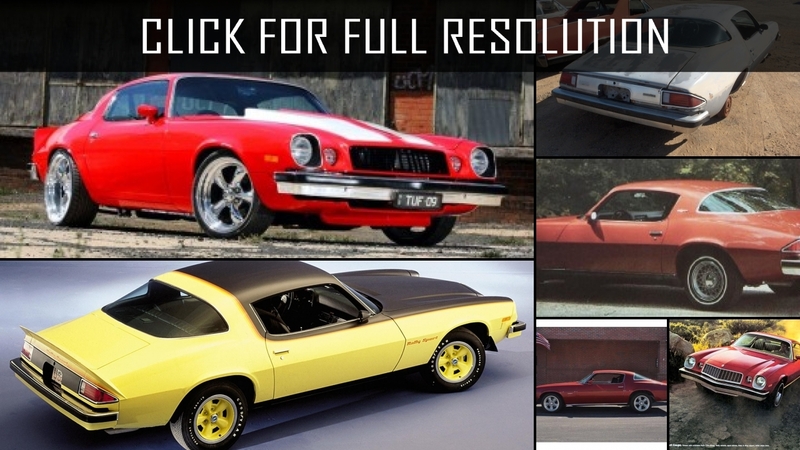 Popularity of model grew up at the beginning of the 1970s until the country for the first time sufferred action of an energy crisis which forced to change a view of production of cars in the USA. 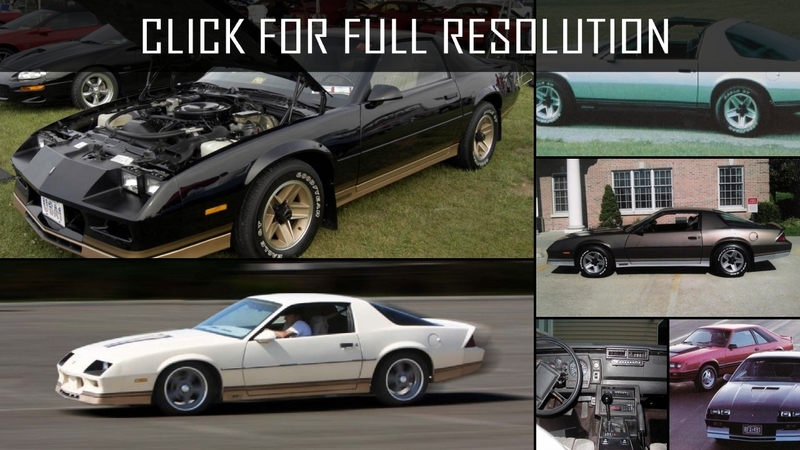 1982 - the beginning of production Chevrolet Camaro third generation. 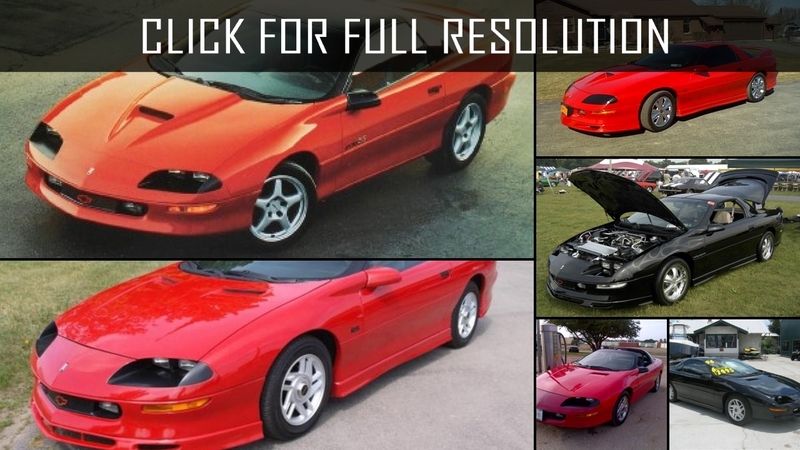 Distinctive feature of this car are dual square headlights, a wide radiator enclosure, existence of a large number of spoilers and aerodynamic panels, more licked than previous external design. 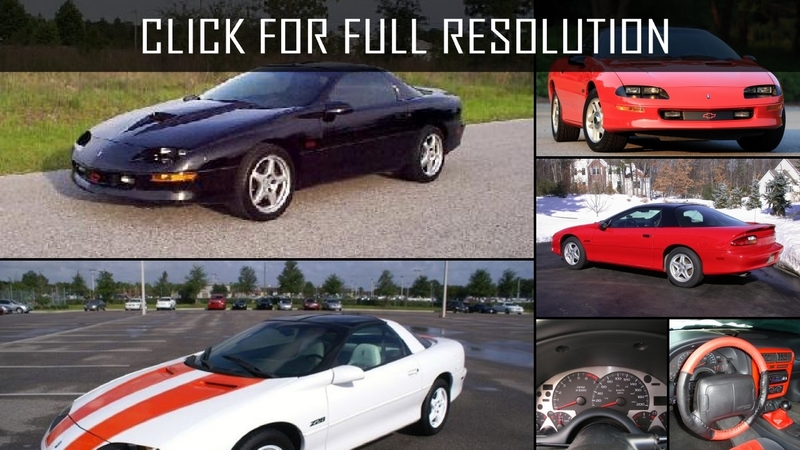 The following generation of Chevrolet Camaro was issued only in 1993. 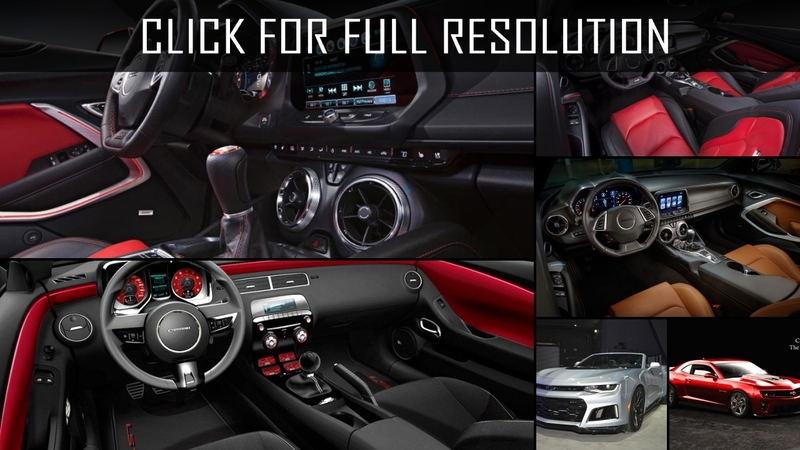 The new car was finally licked, became more graceful, for the first time there were elements of passive safety - ABS, for the driver and the front passenger. 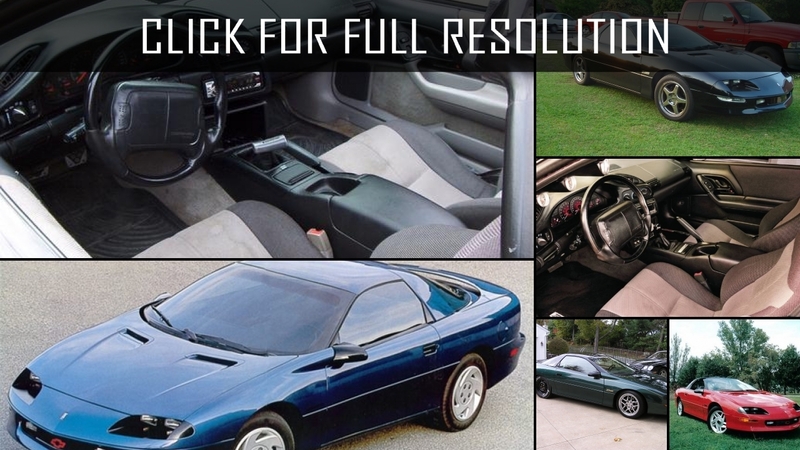 Scale of engines for 1993 was made by V-shaped six cylinder power of 160 h.p. 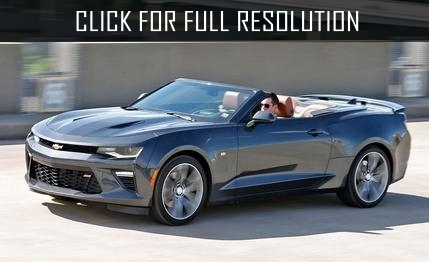 and eight cylinder rated at 275 h.p. 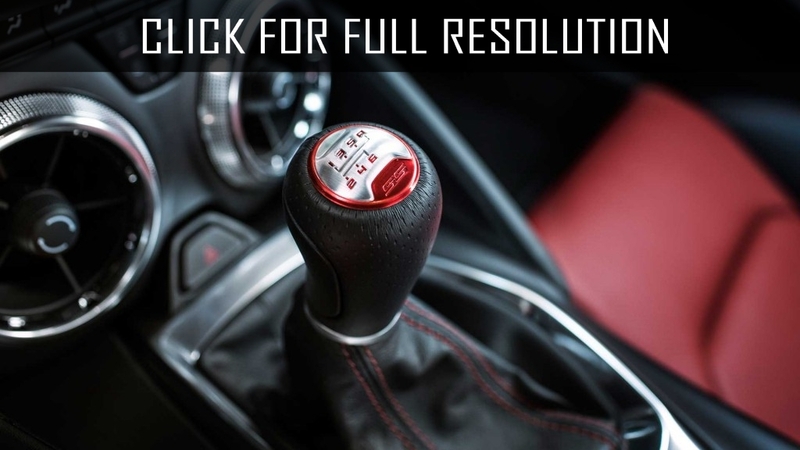 As transmission, there were 4-speed automatic or 5-speed manual gearboxes. 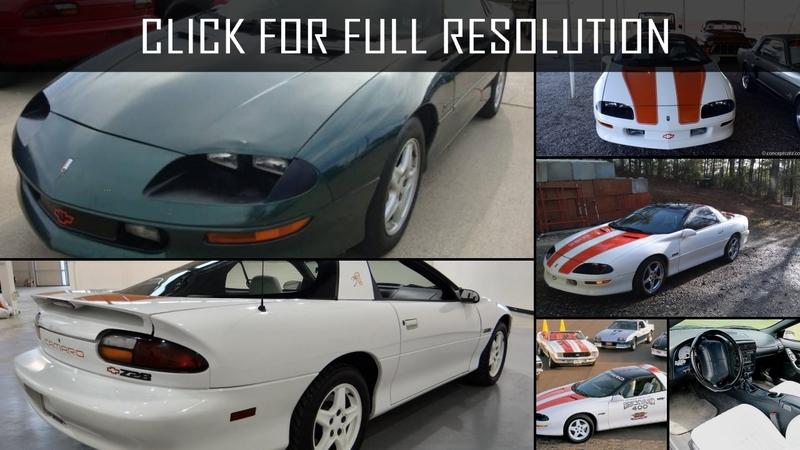 After 1993, the model began to be completed with the new 5,7-liter engine rated at 345 h.p.with "LT-1" and an automatic transmission with electronic control. 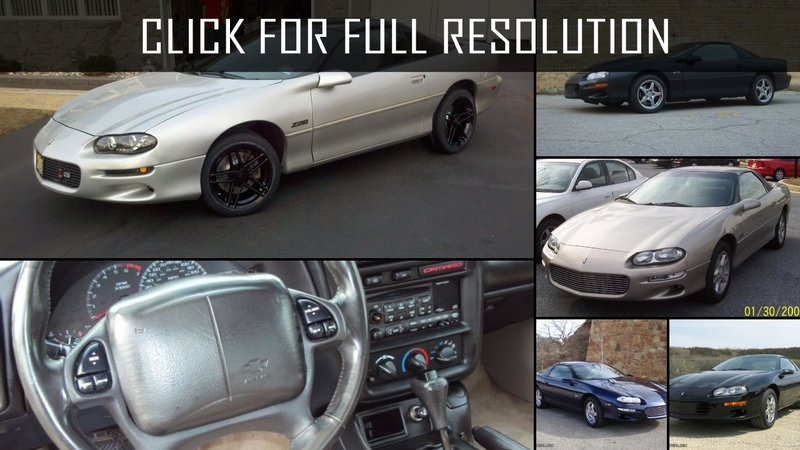 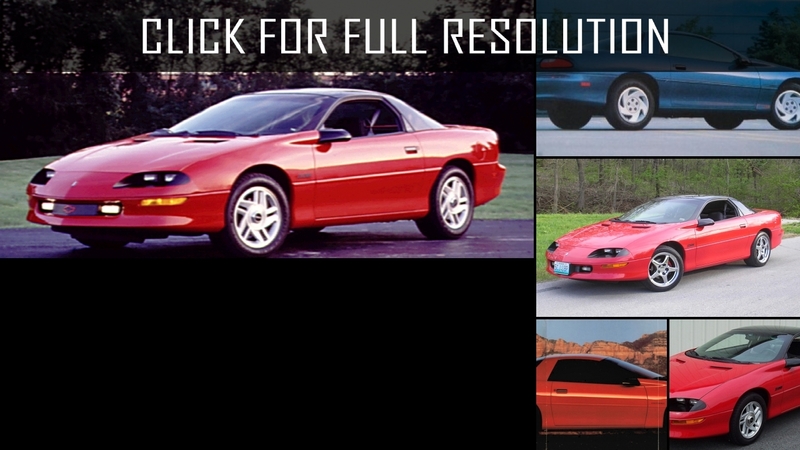 The last update on which the history of Chevrolet Camaro ended at the age of 35 was in 1998 and changed generally appearance of the car. 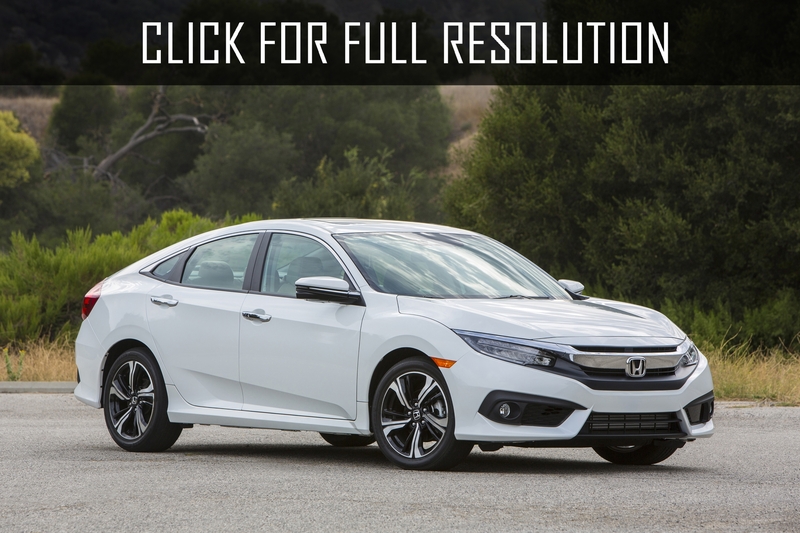 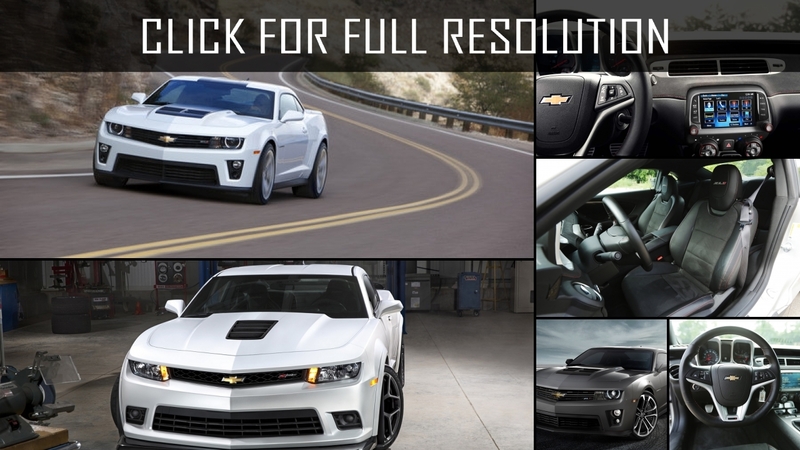 Thin, slightly protruding front lights, long nose, an air intake on the hood became characteristic features. 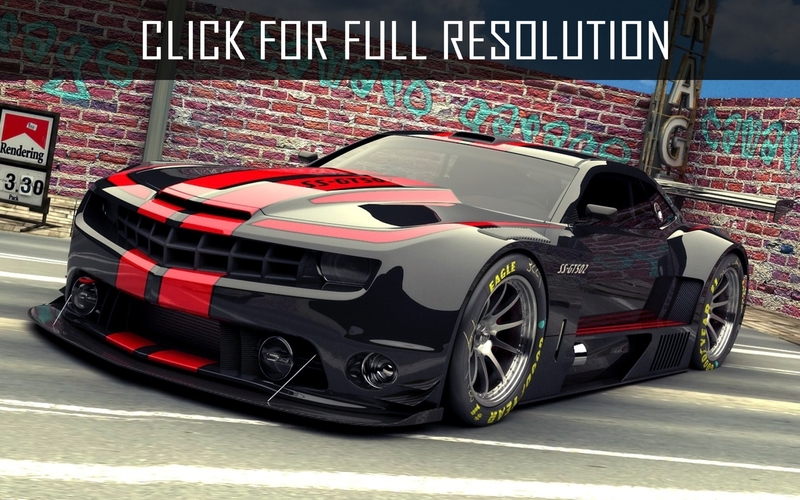 In general the car by sight became more dynamic and streamlined. 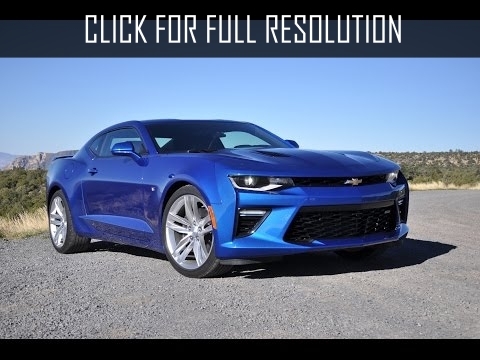 The engine remained the same, unless only began to be carried out from an aluminum alloy and lost 35 h.p., became 310 instead of 345. 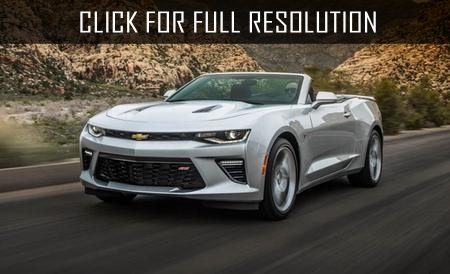 After 35 years of production, fall of 2002, General Motors stopped the release of sports legendary American Chevrolet Camaro. 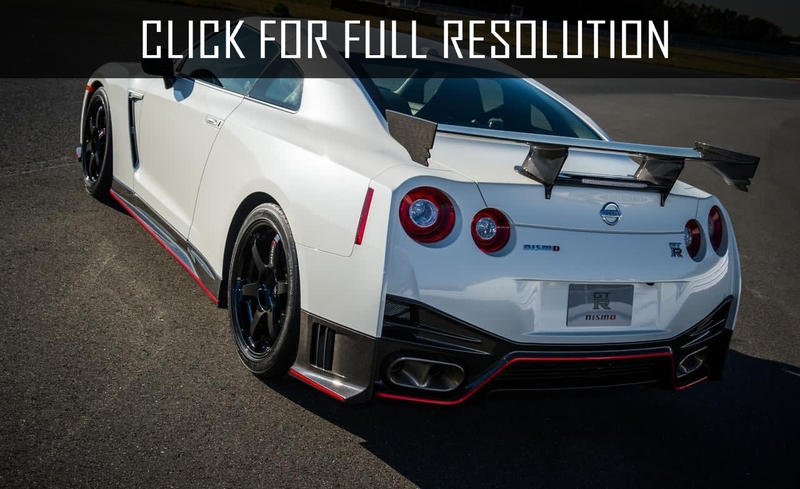 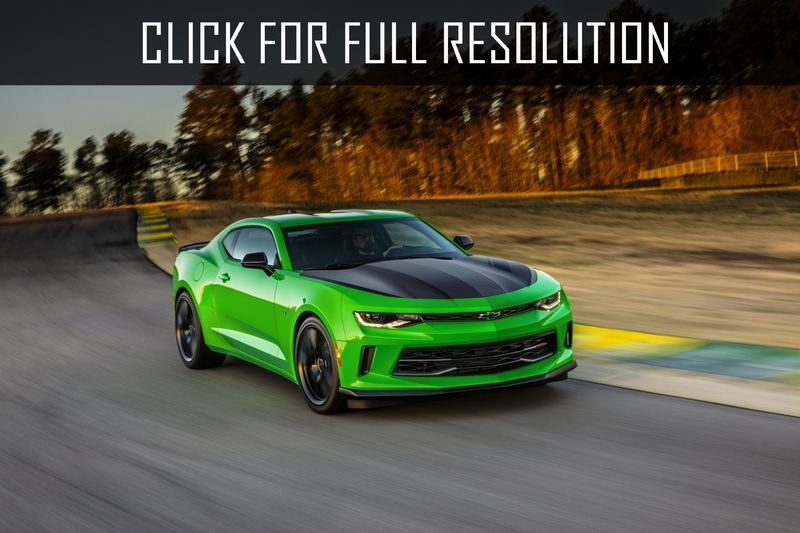 For this period, this model was sold out in circulations of 4,775,208 copies. 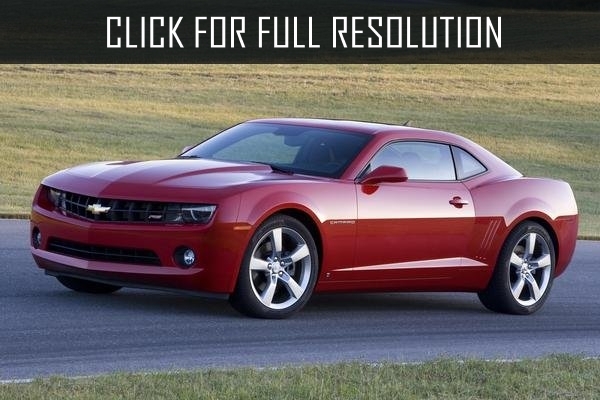 In 2006, on a Auto Show in Detroit Chevrolet company recovered the classical Camaro model at the 60th anniversary and presented it more modern interpretation. 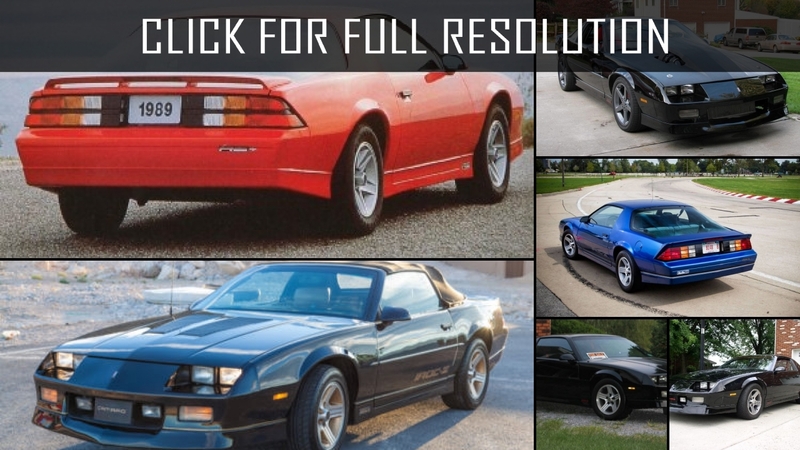 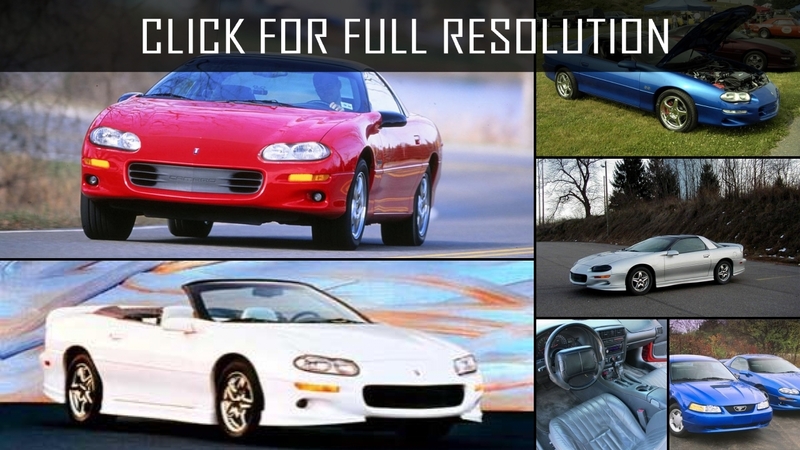 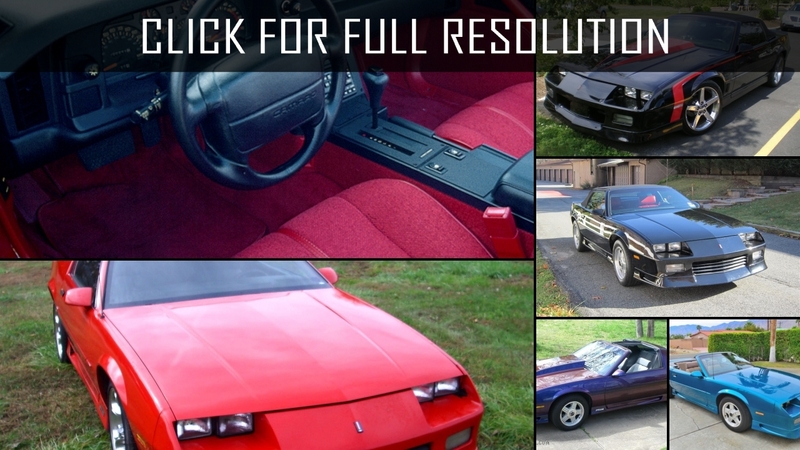 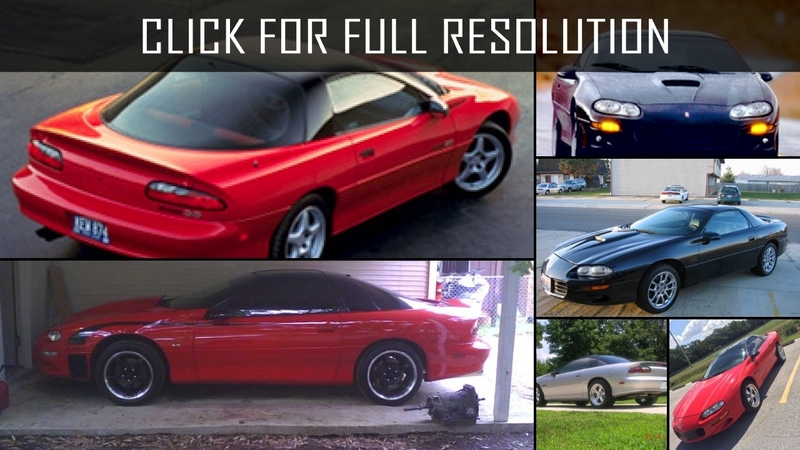 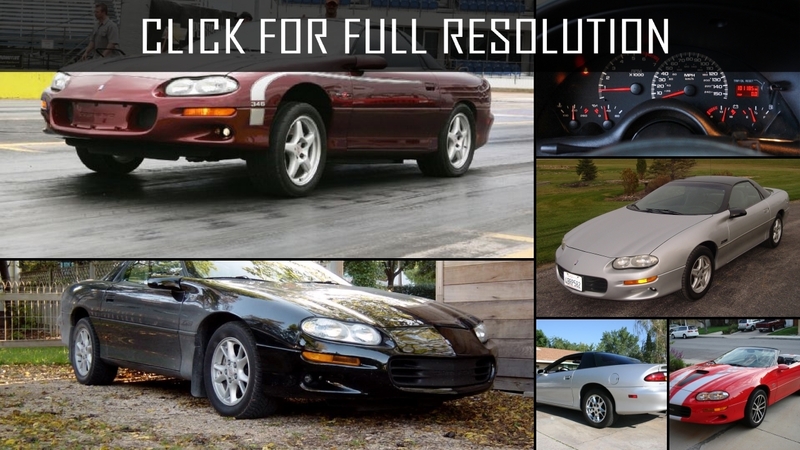 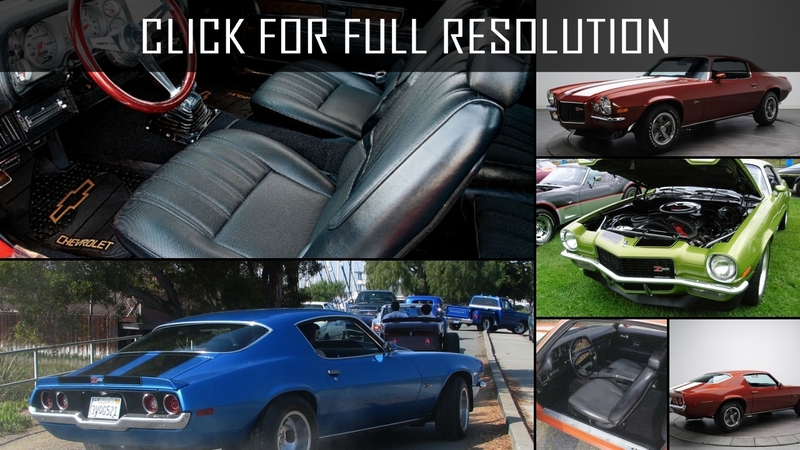 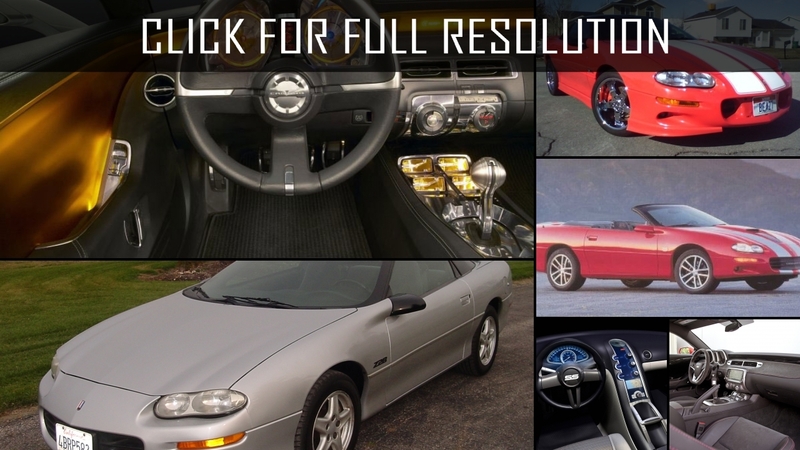 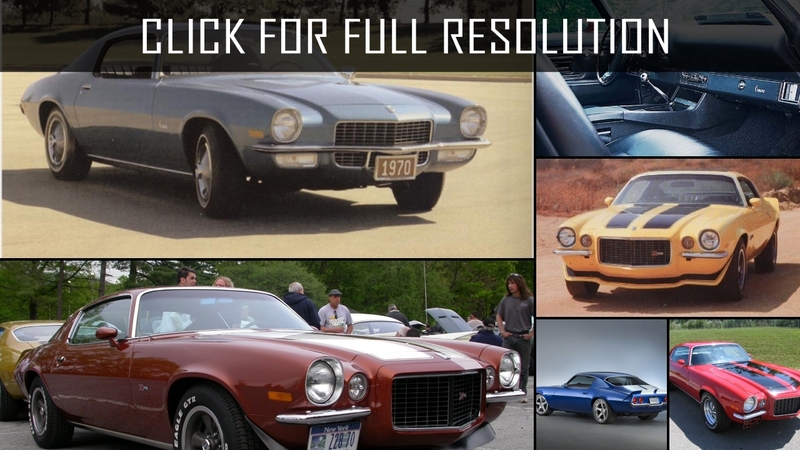 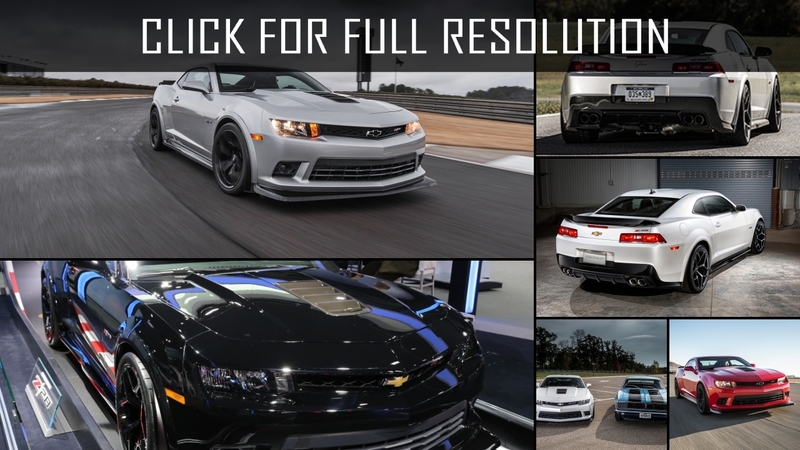 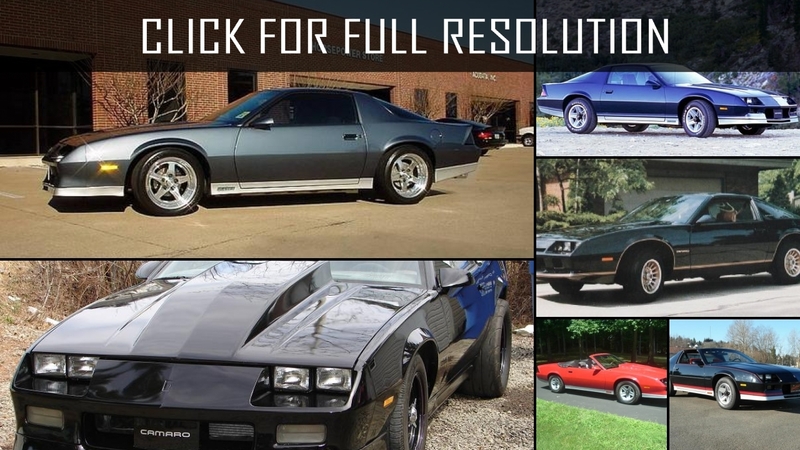 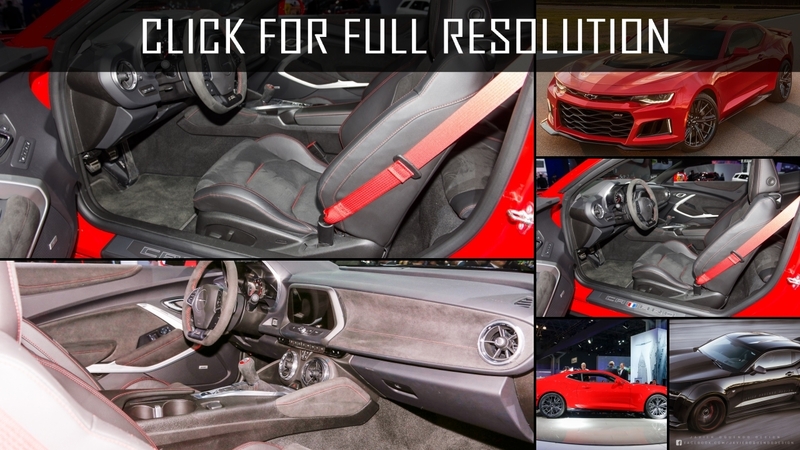 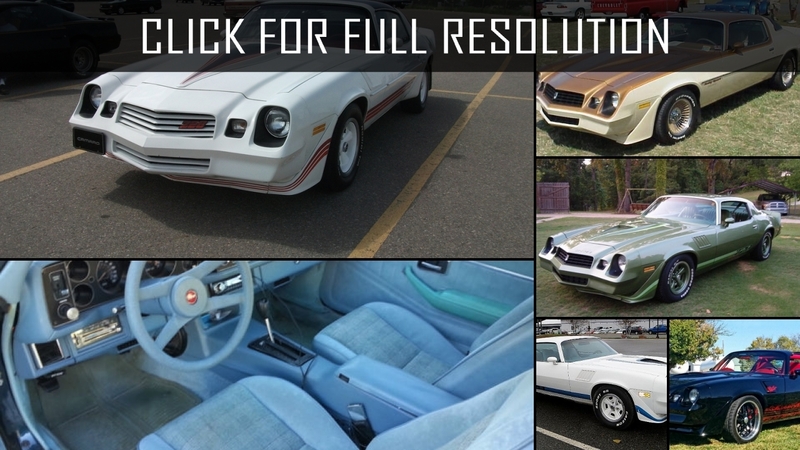 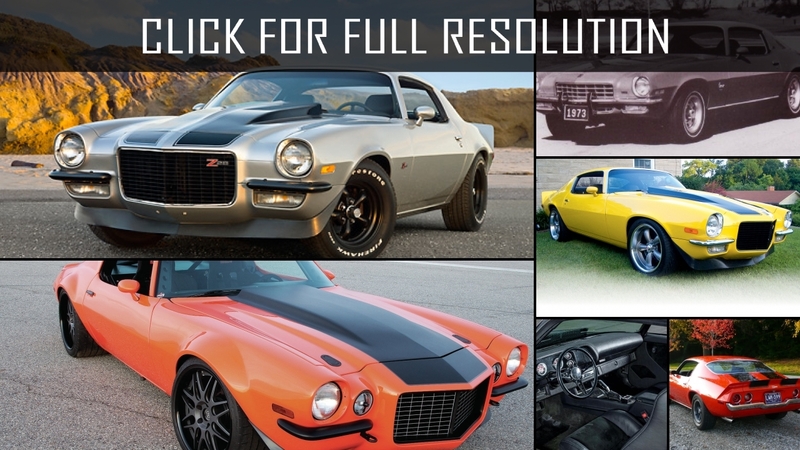 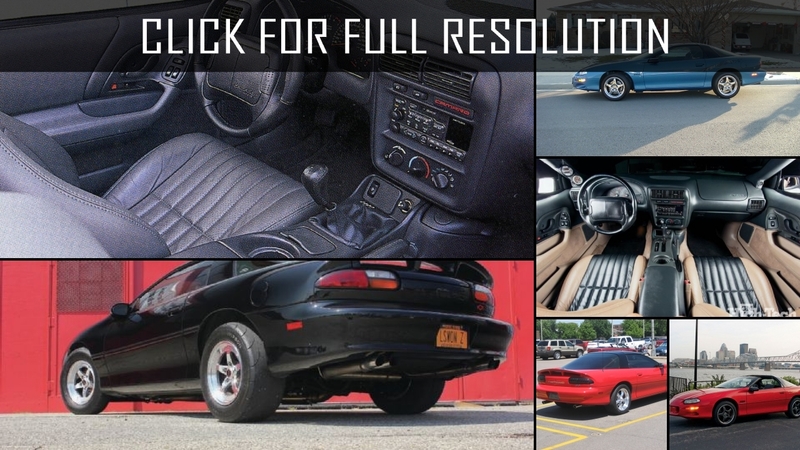 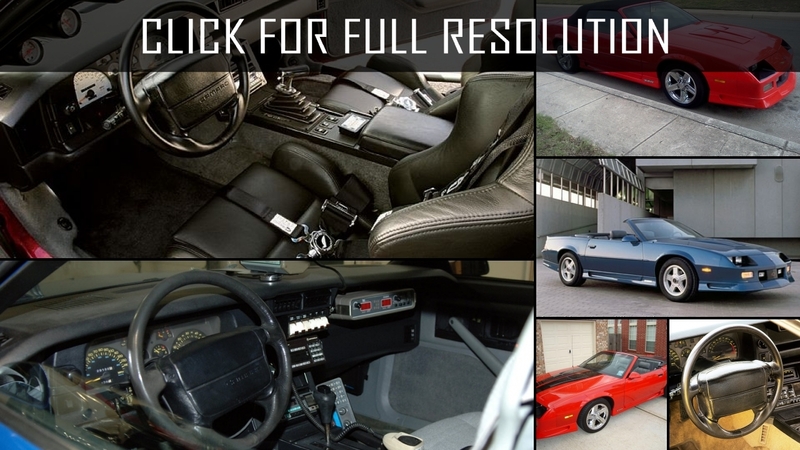 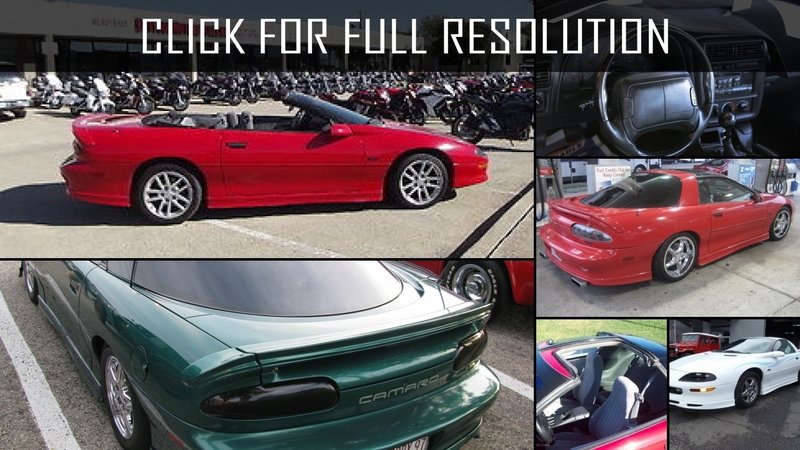 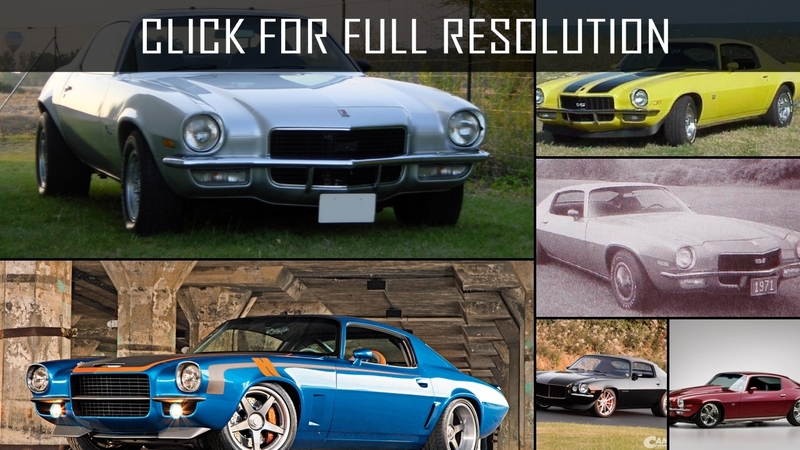 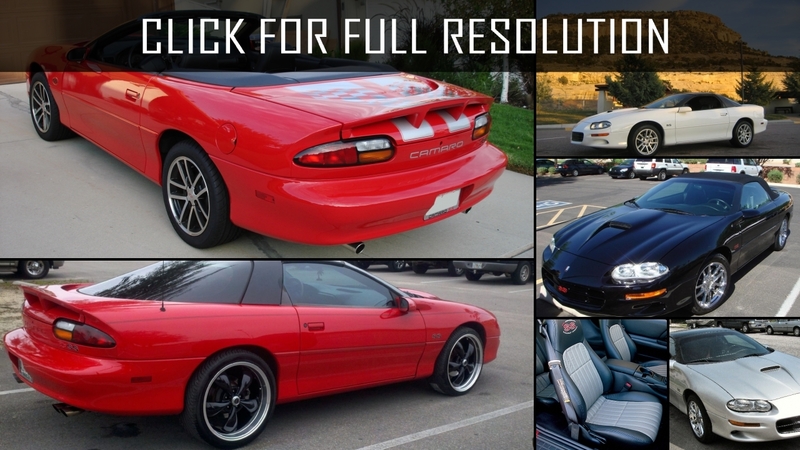 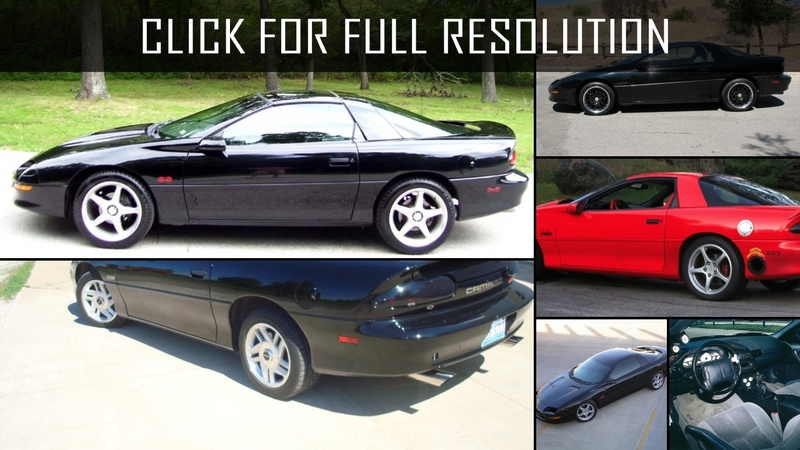 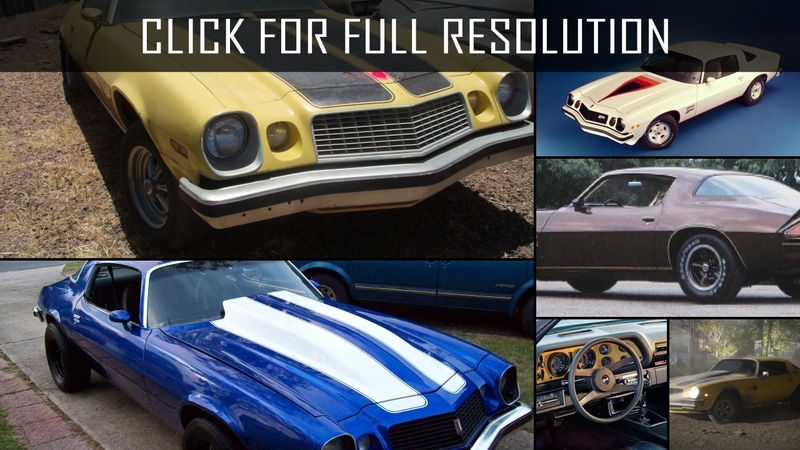 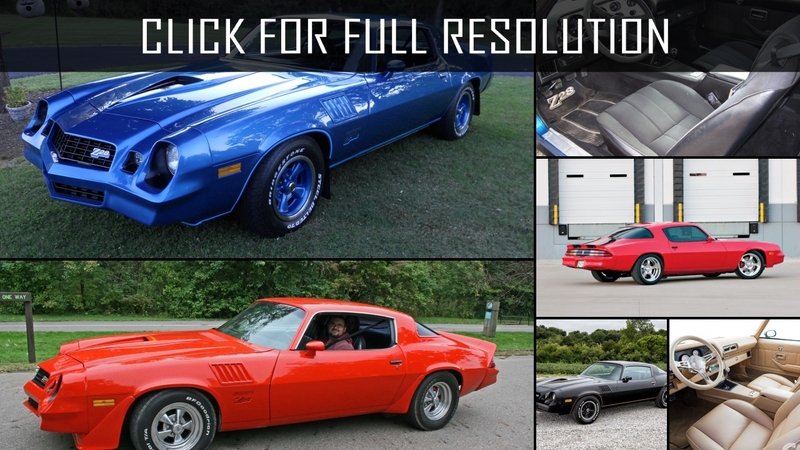 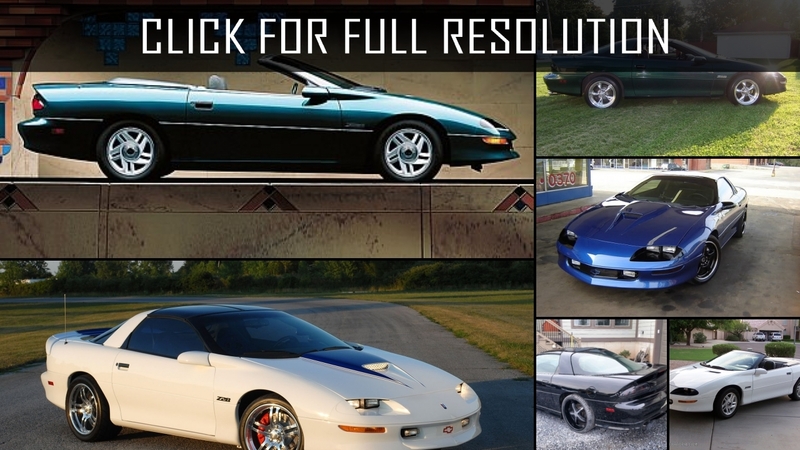 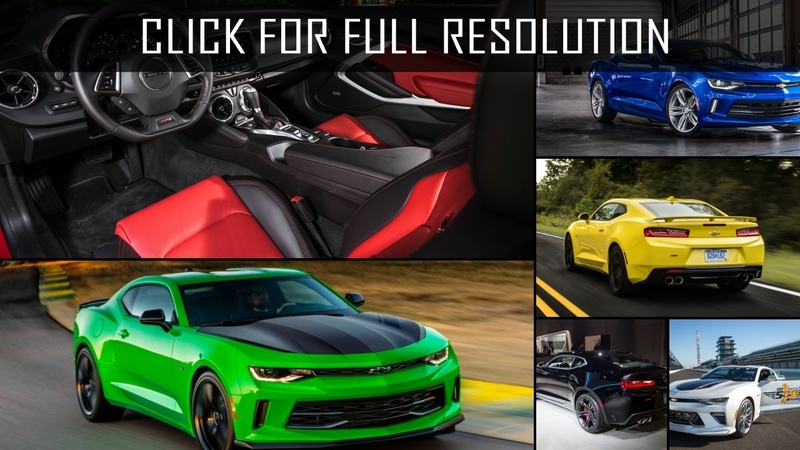 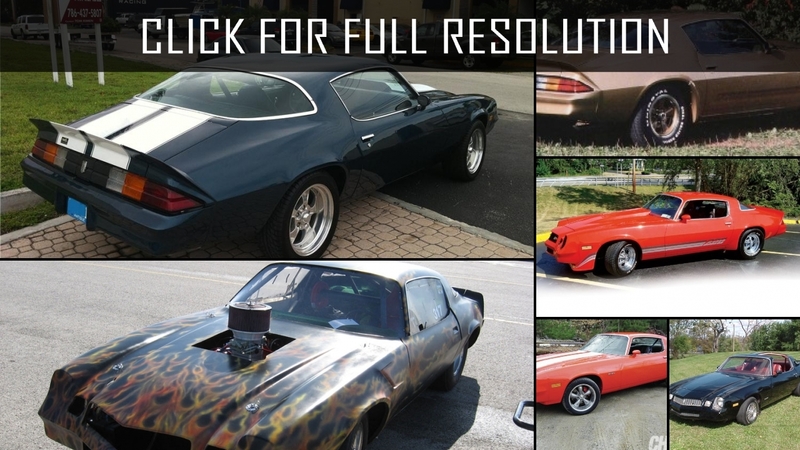 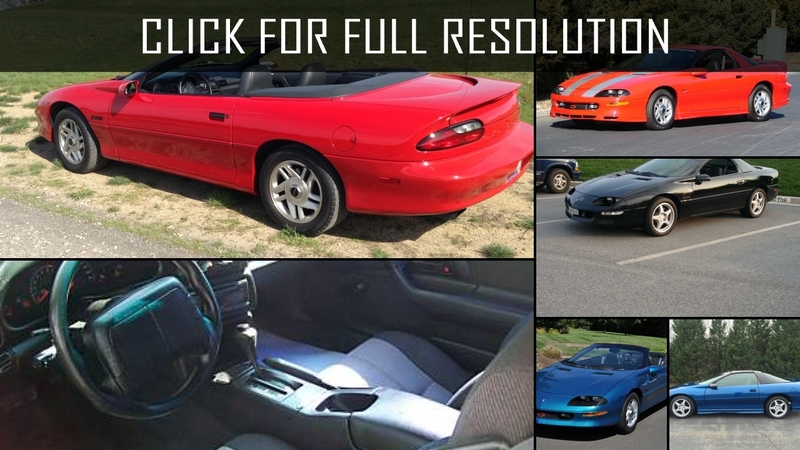 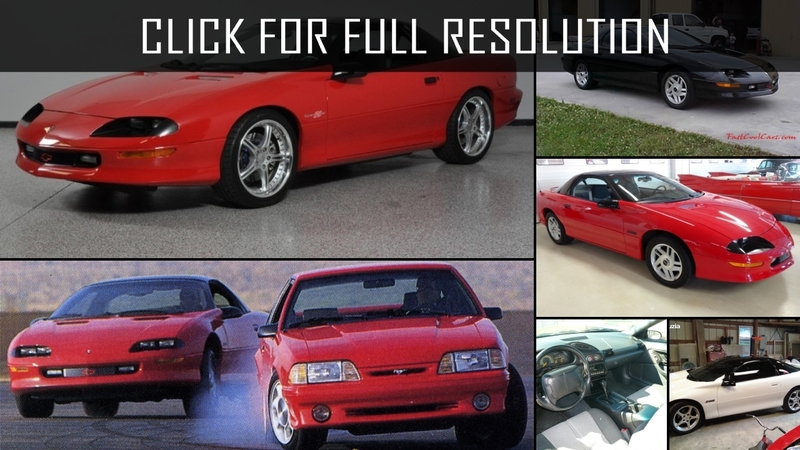 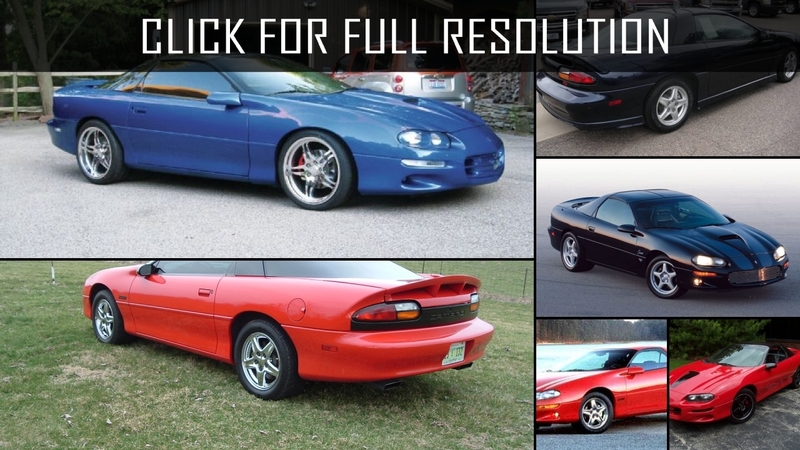 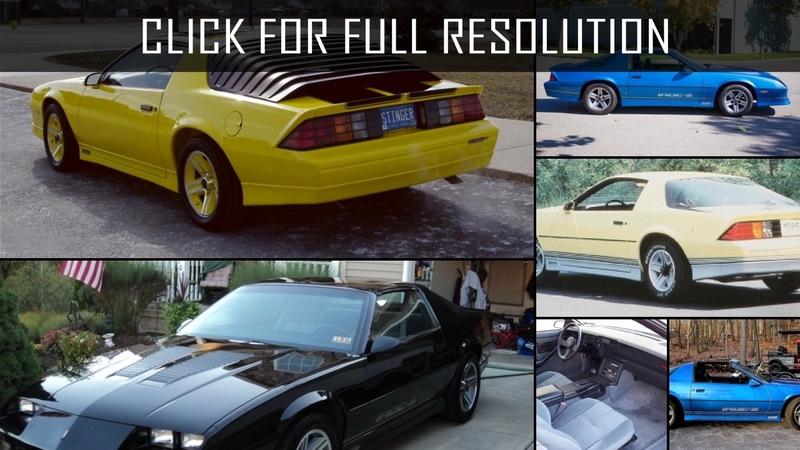 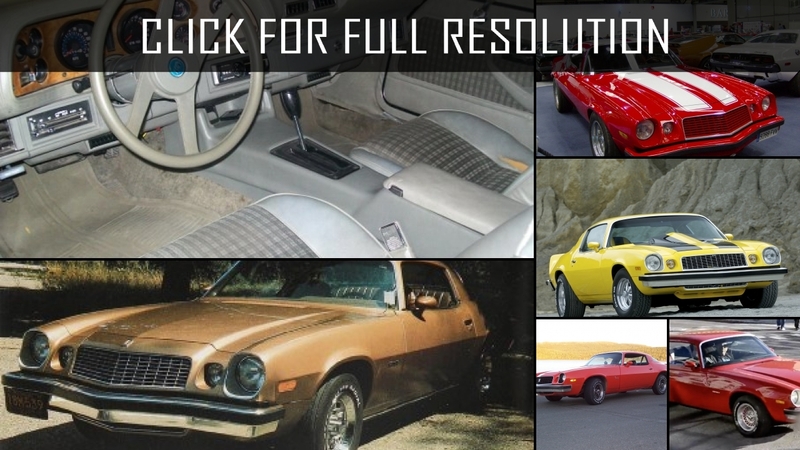 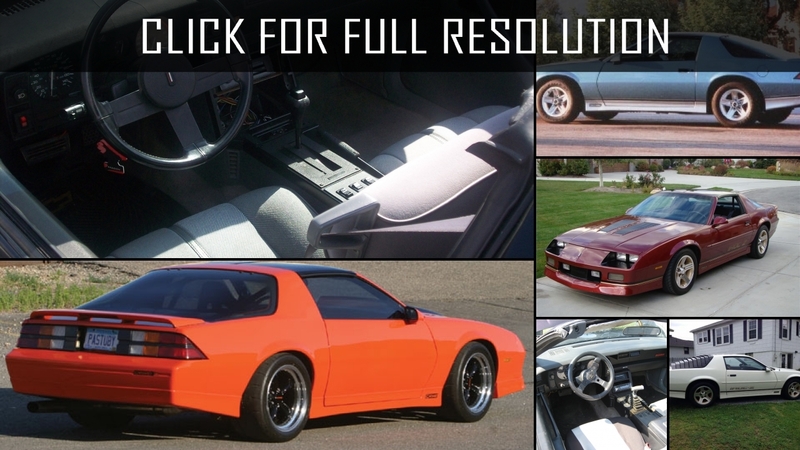 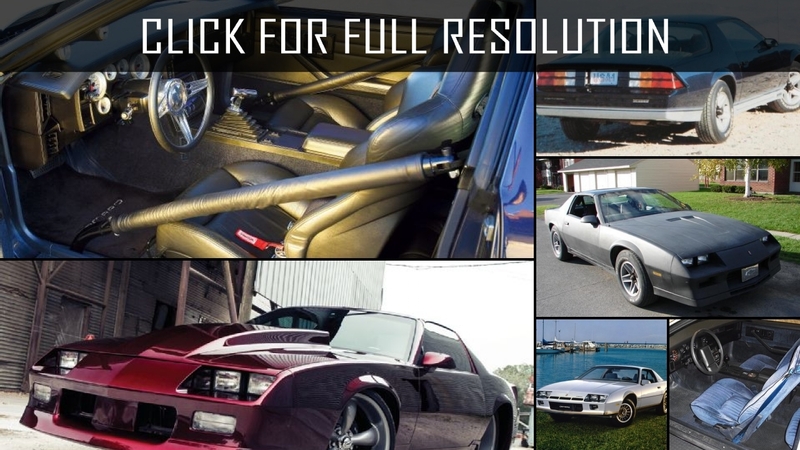 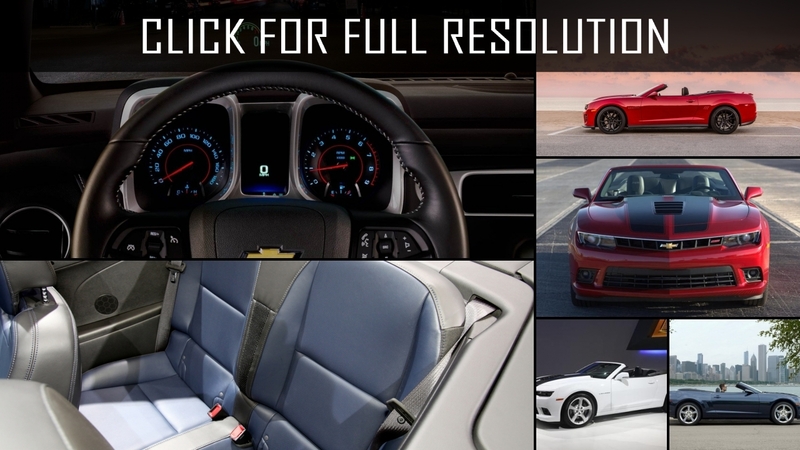 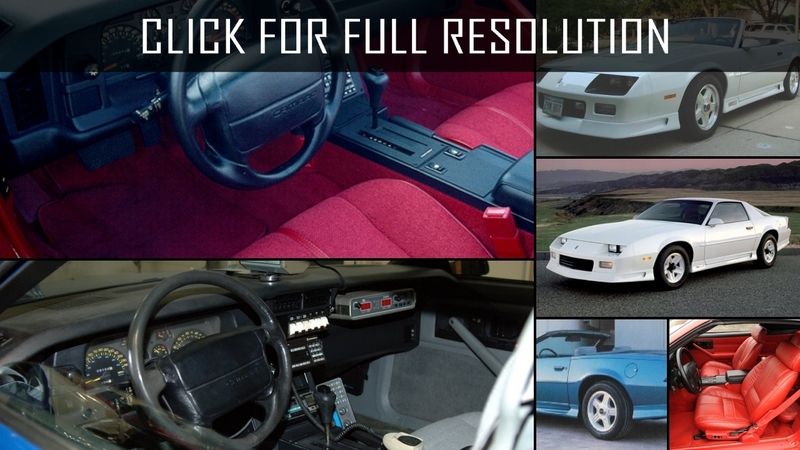 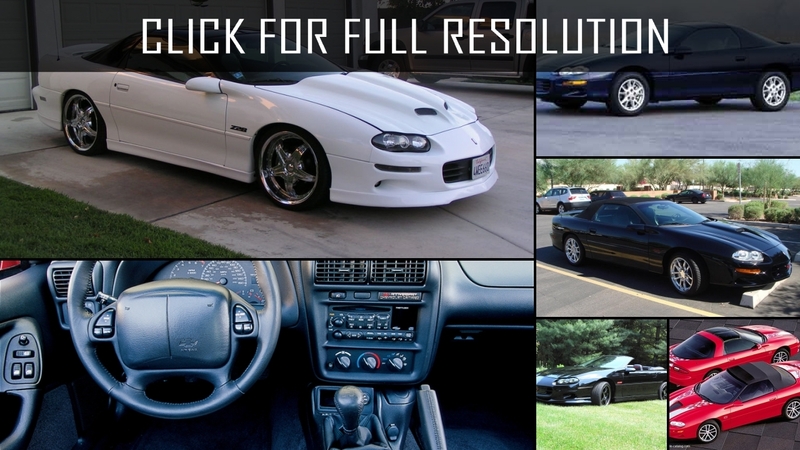 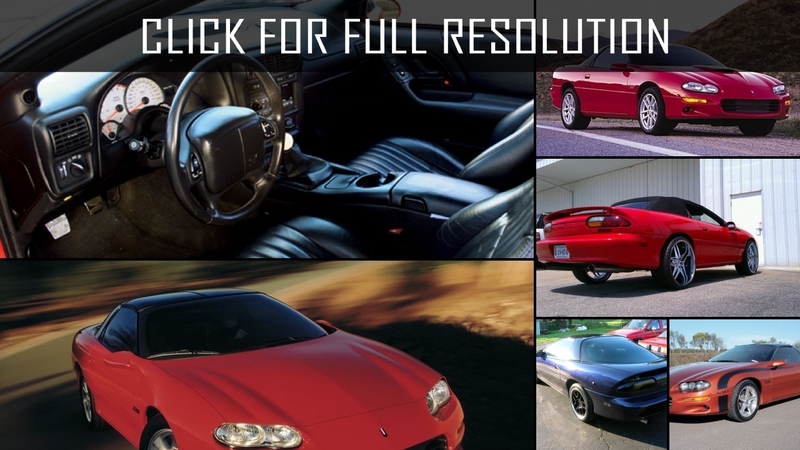 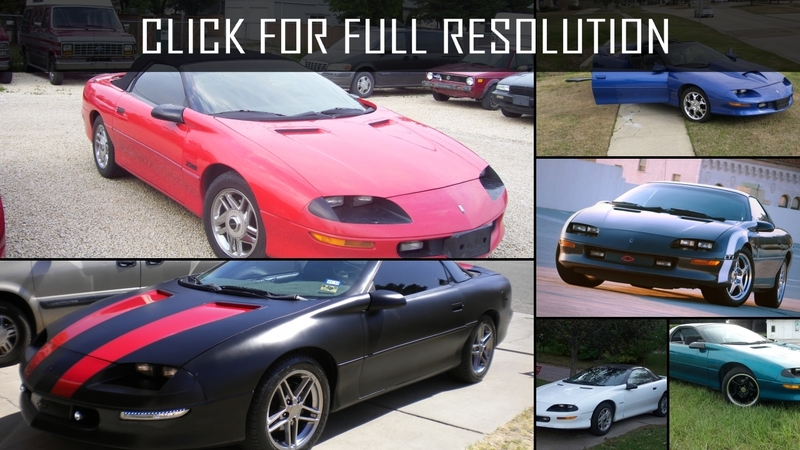 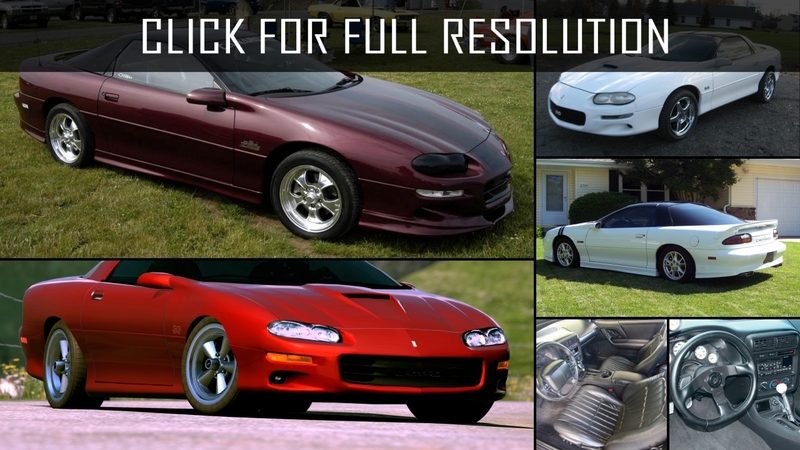 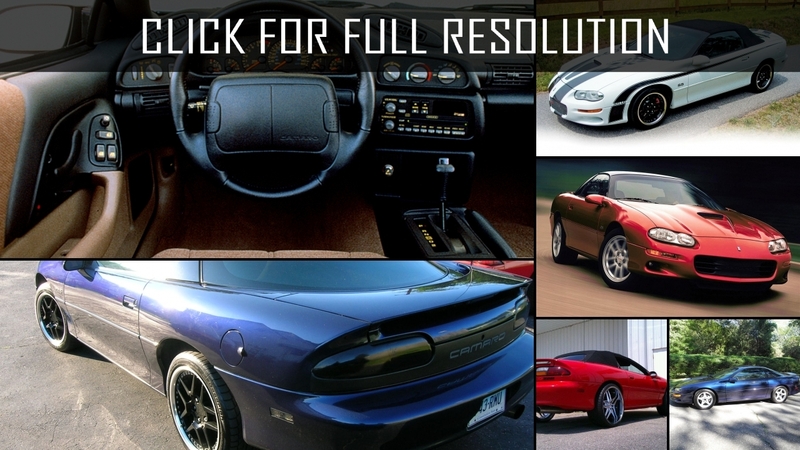 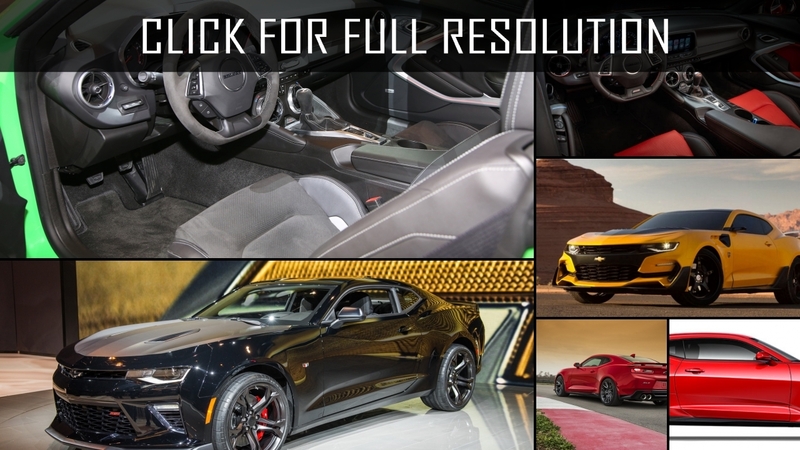 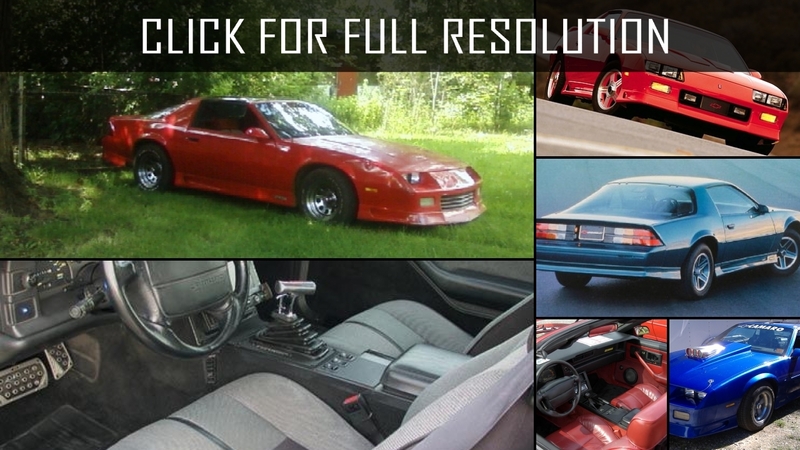 Below the list of all 95 modifications of Chevrolet Camaro and production years from 1970 to 2018. 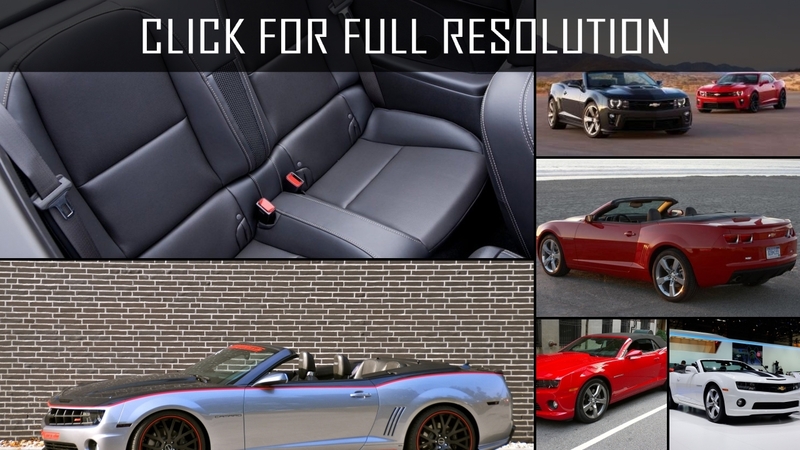 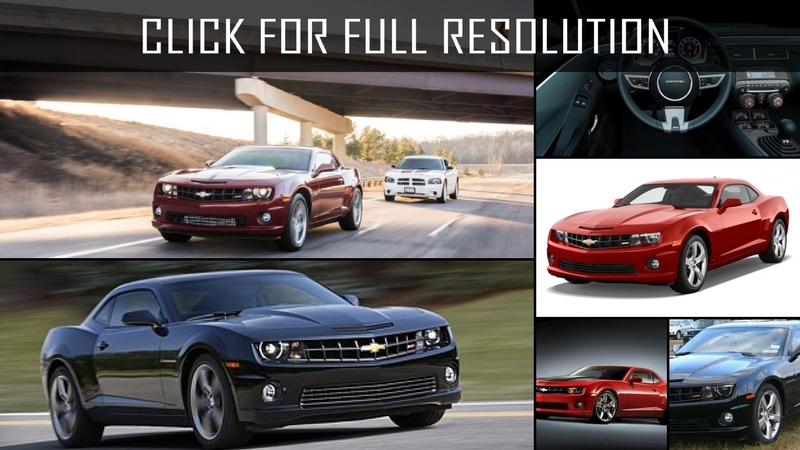 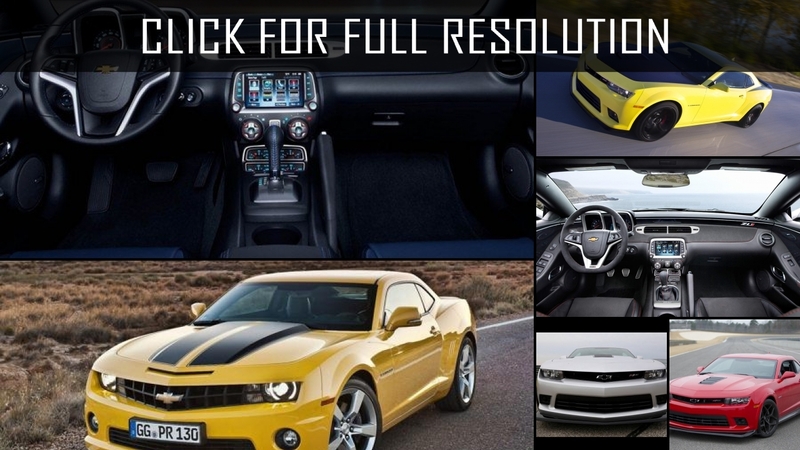 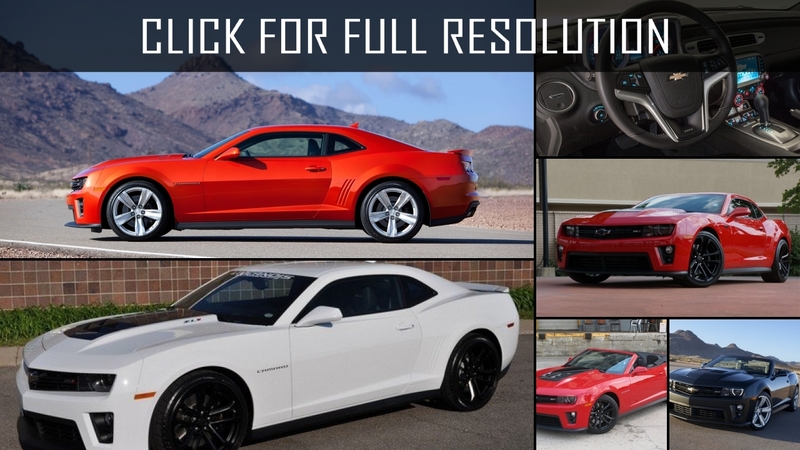 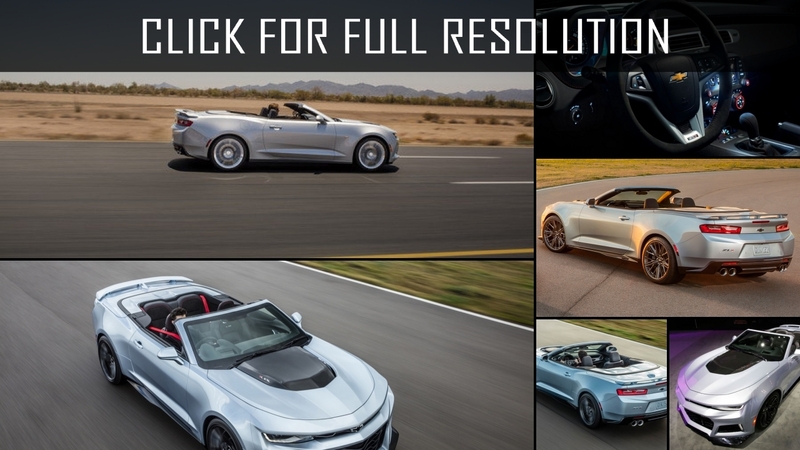 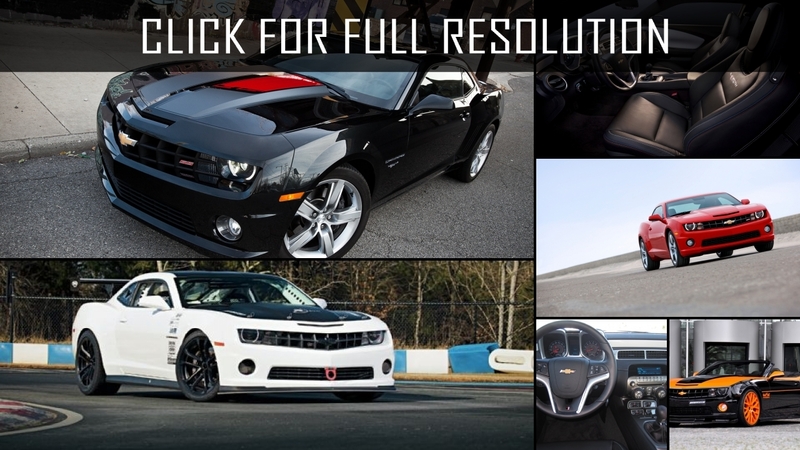 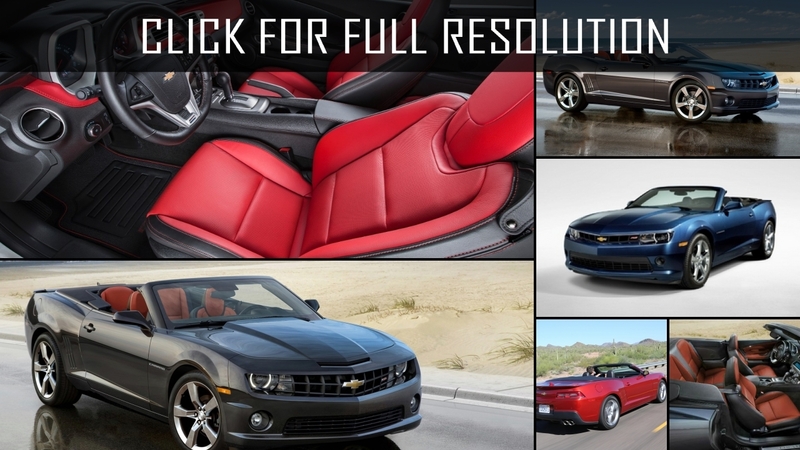 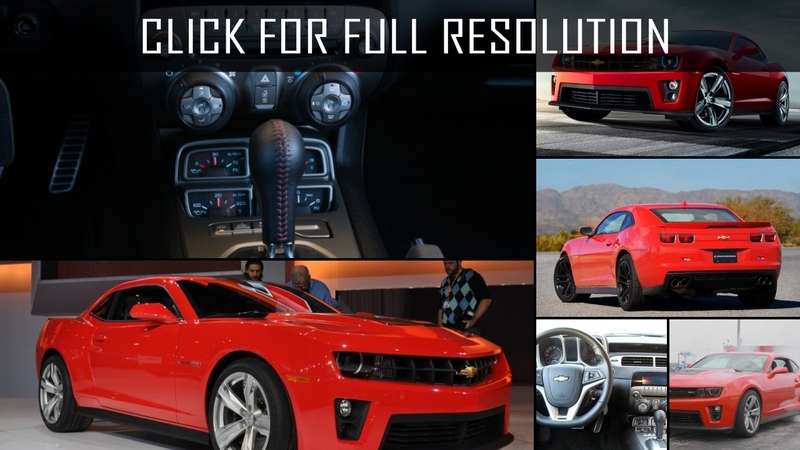 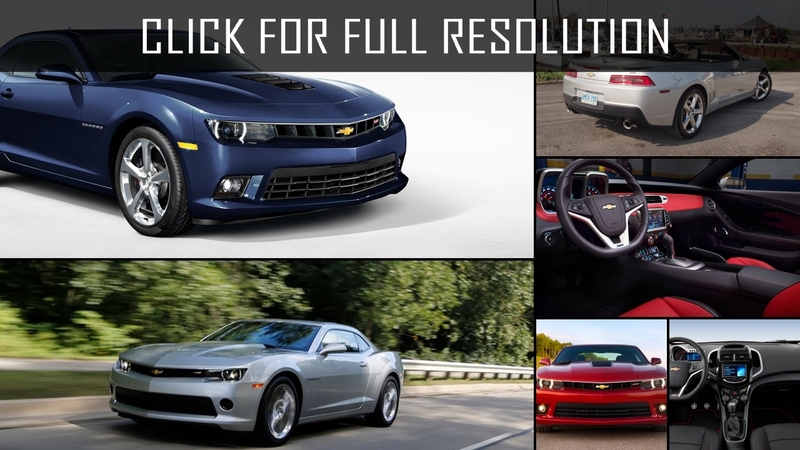 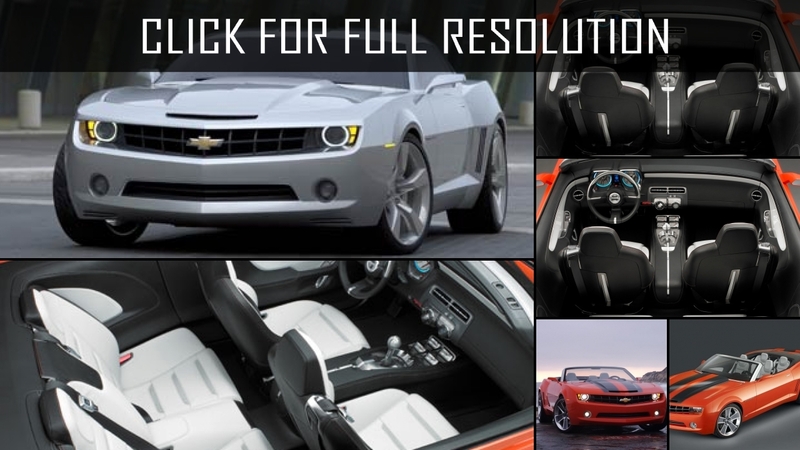 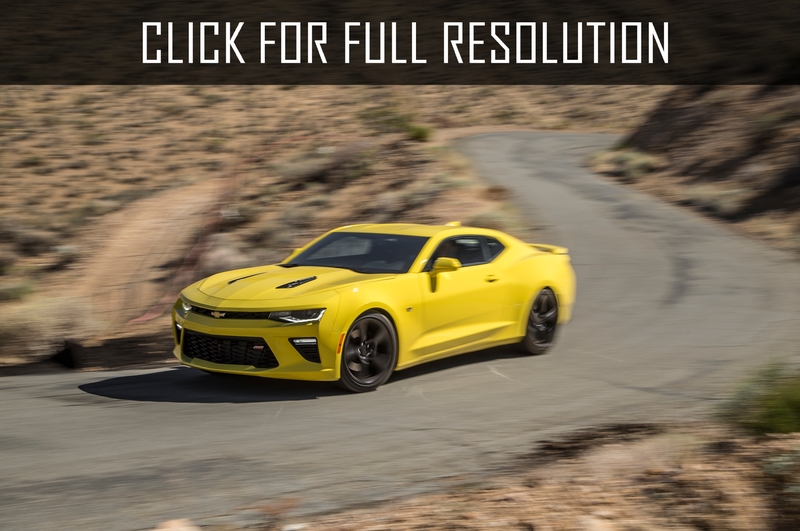 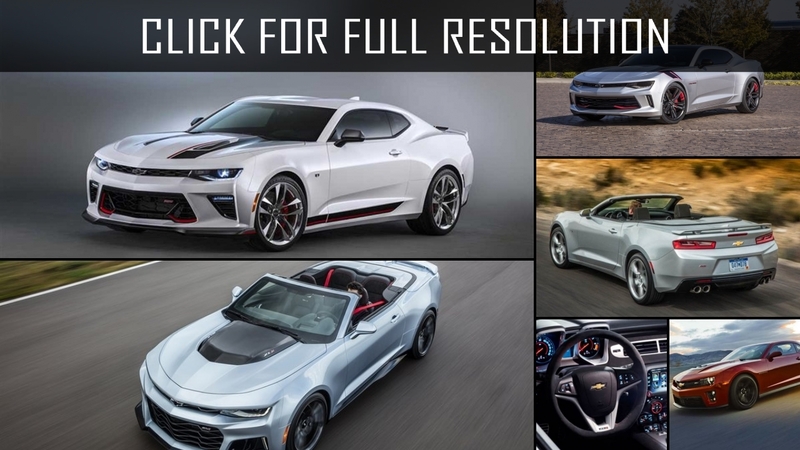 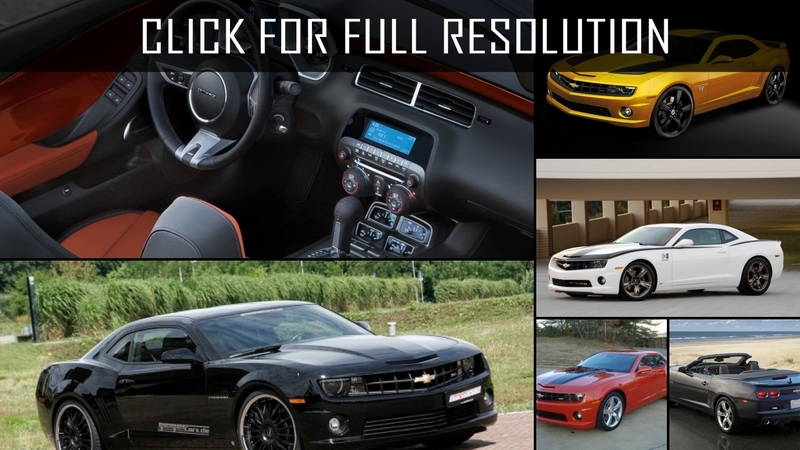 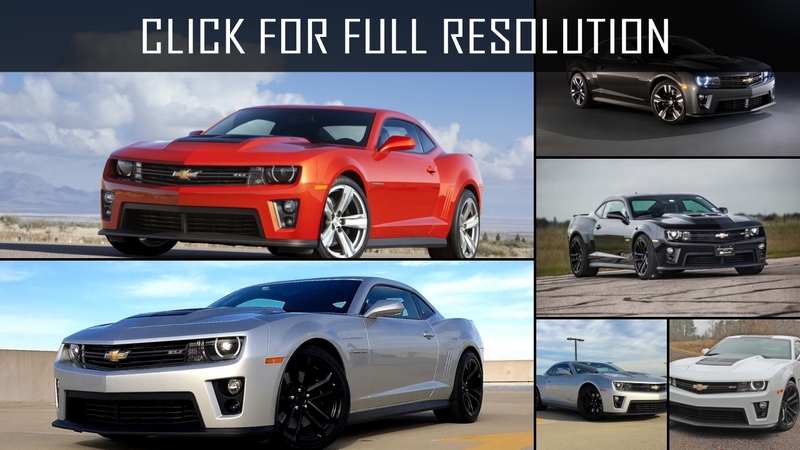 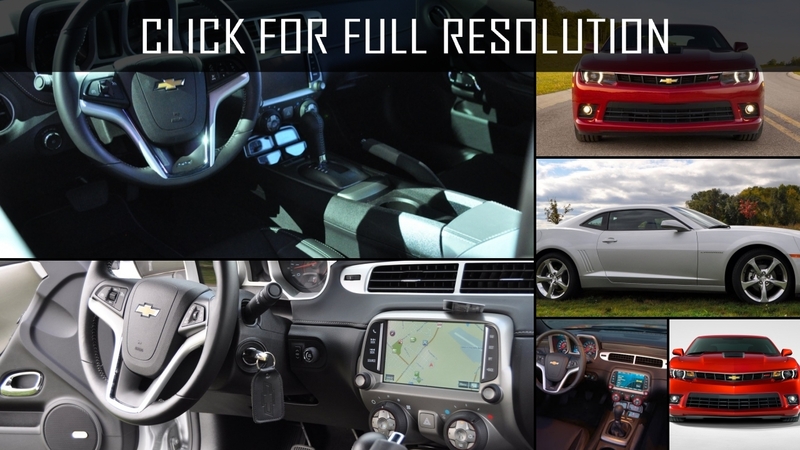 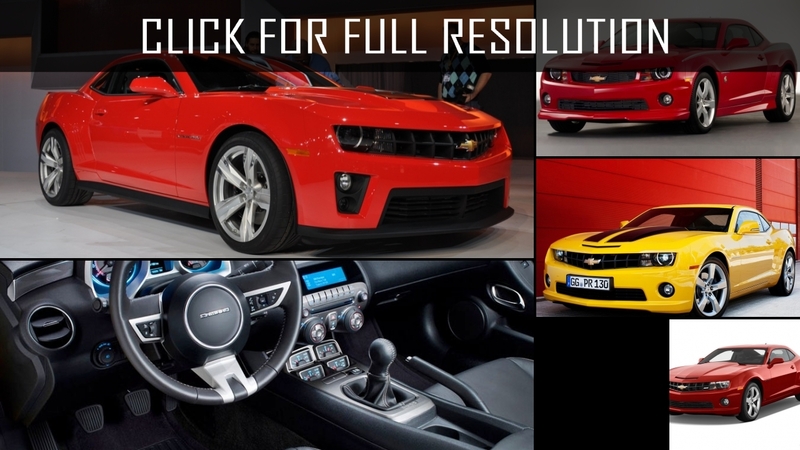 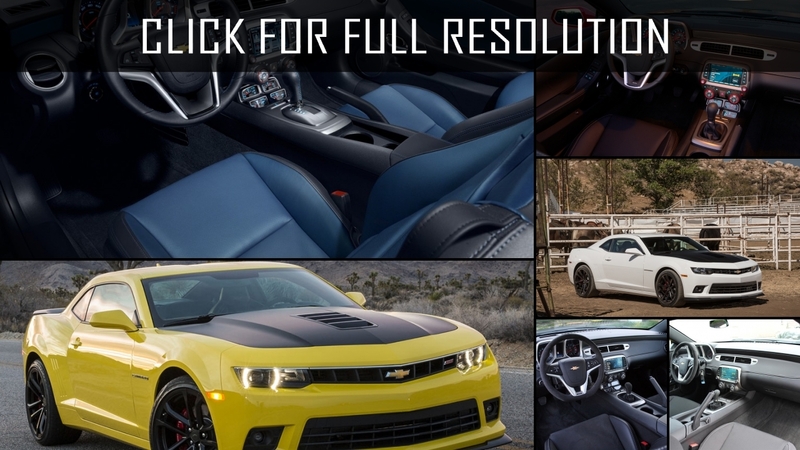 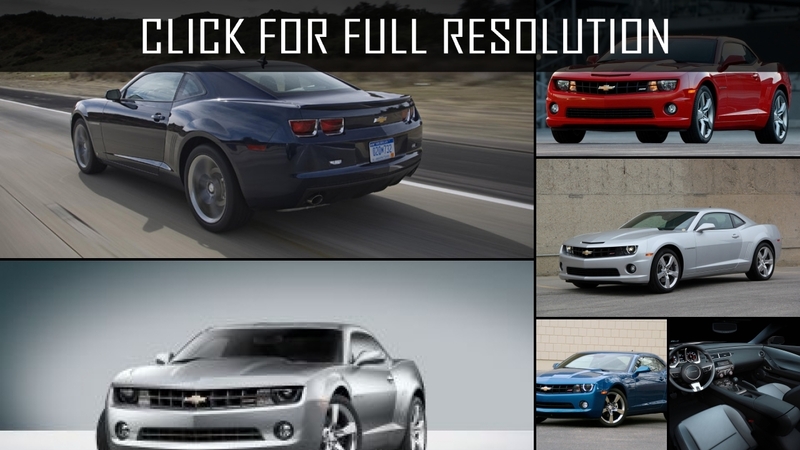 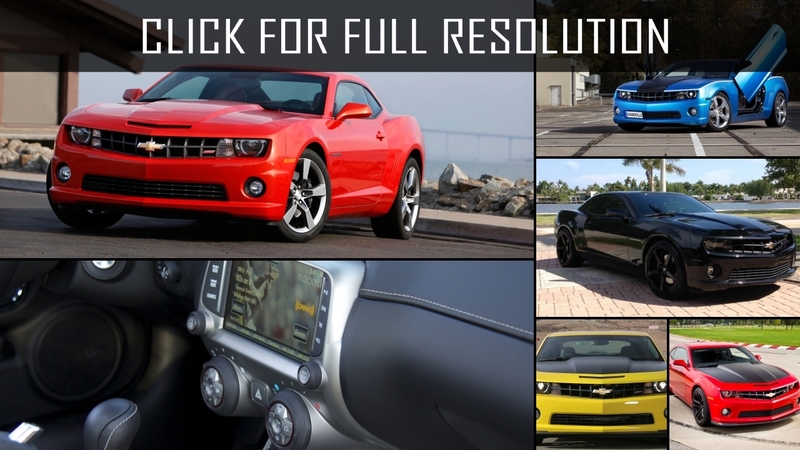 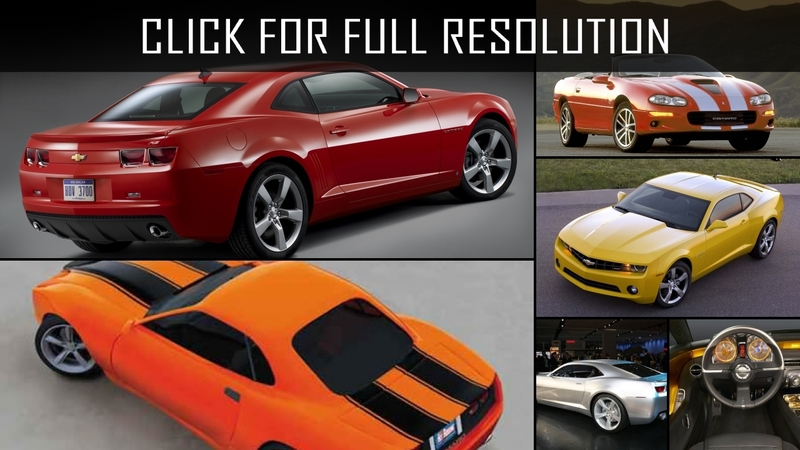 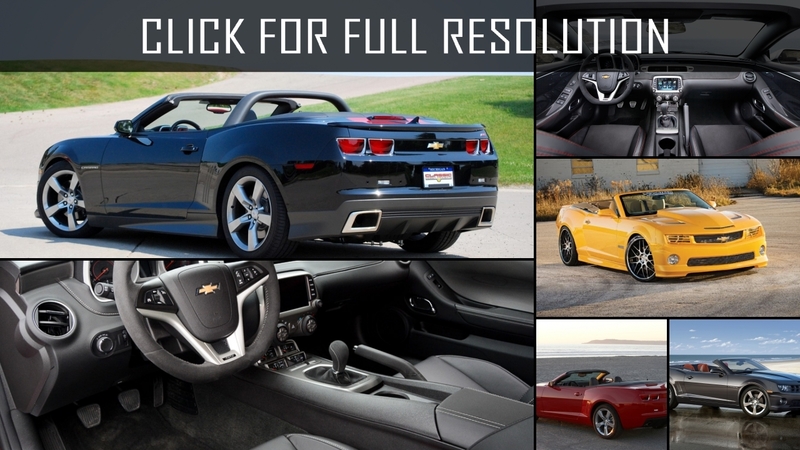 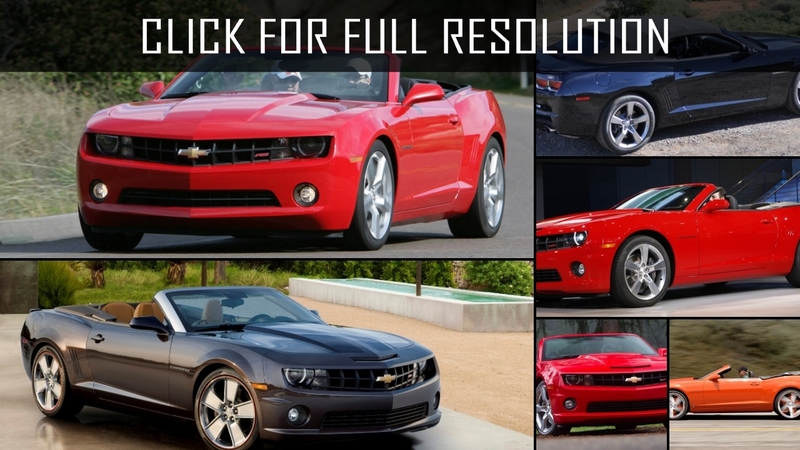 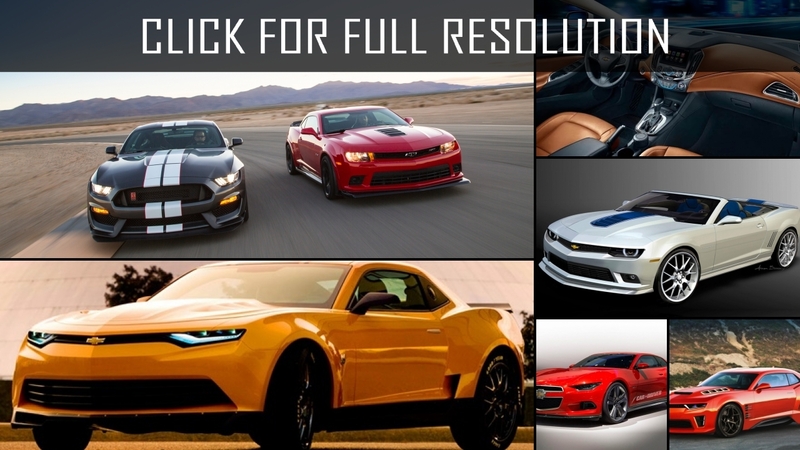 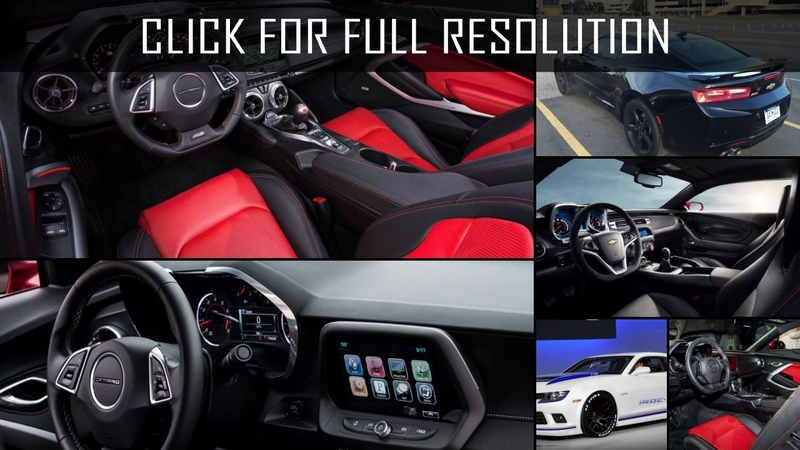 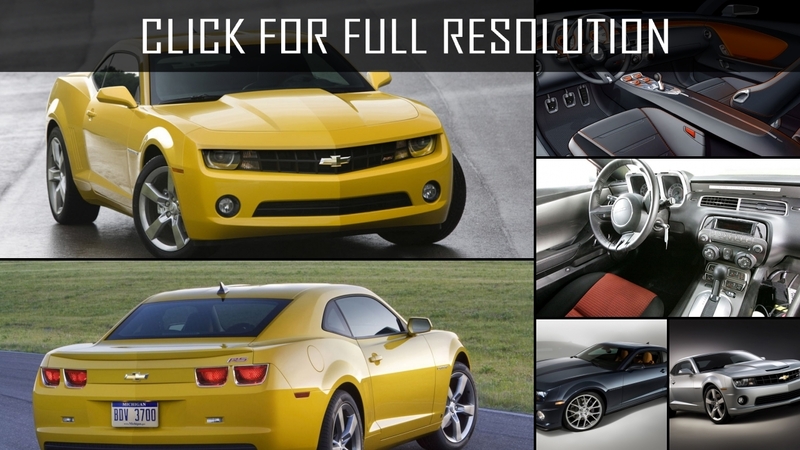 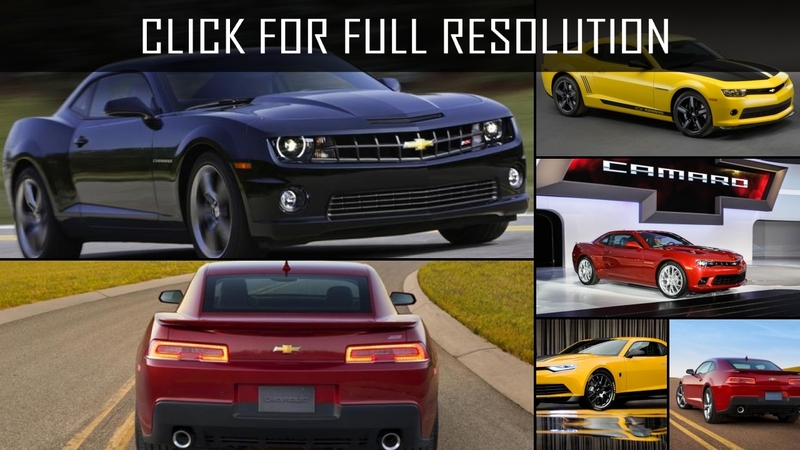 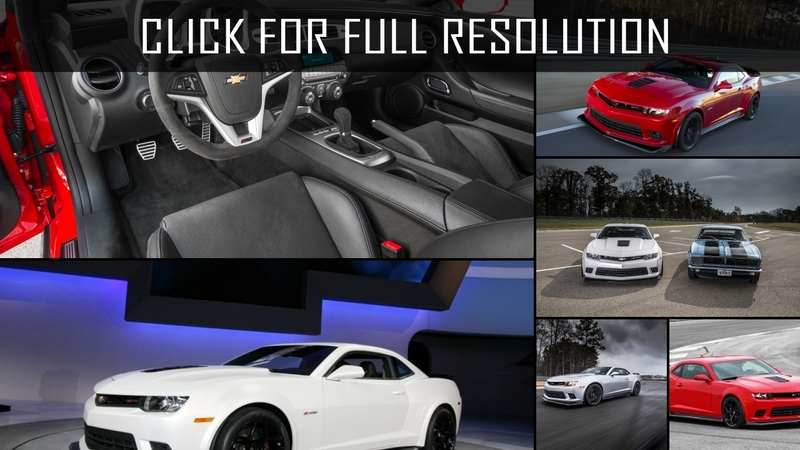 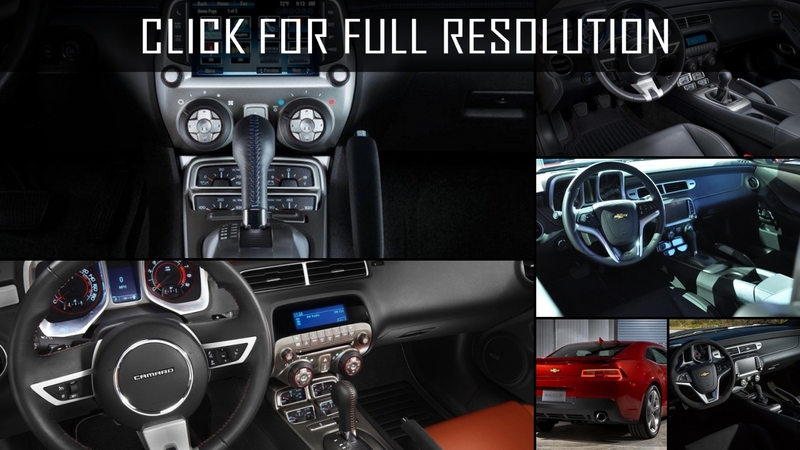 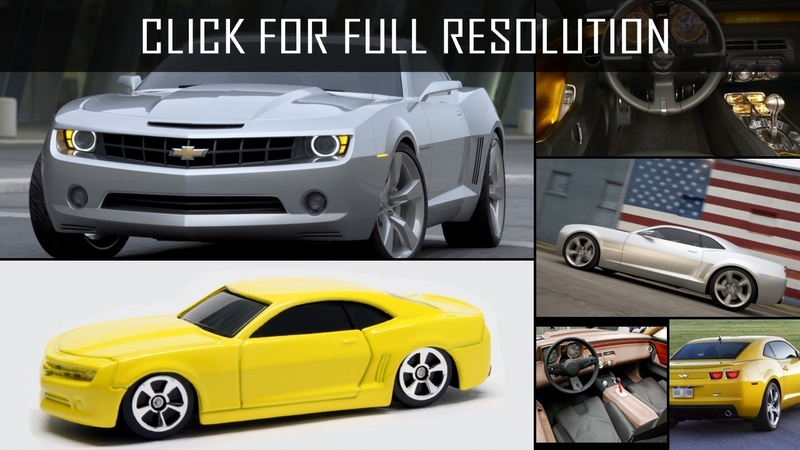 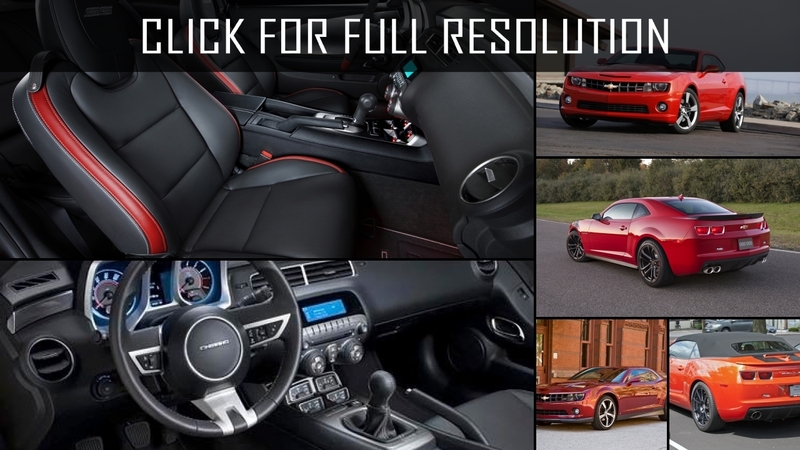 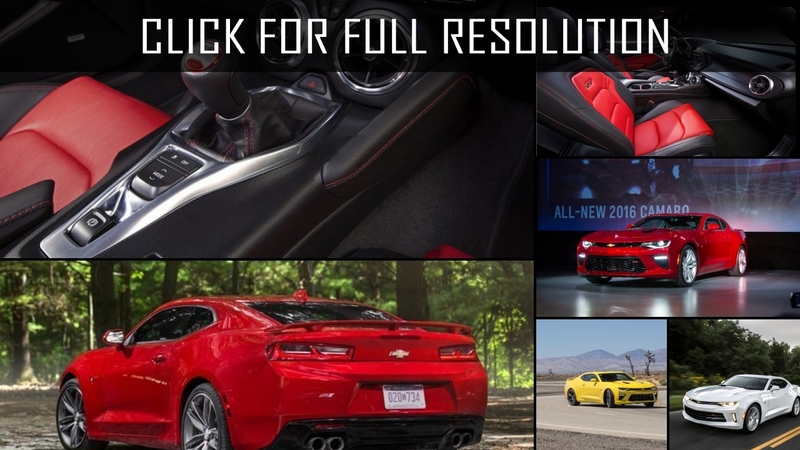 Discover and enjoy Chevrolet Camaro image collections, news, wallpapers, MSRP, ratings on this huge database of cars and bikes - Masbukti. 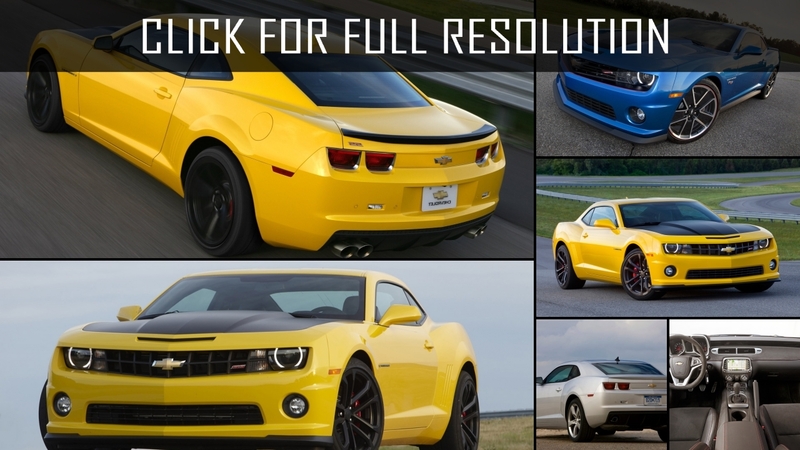 Average rating of all available versions of Chevrolet Camaro is 3.8 out of 5.0.